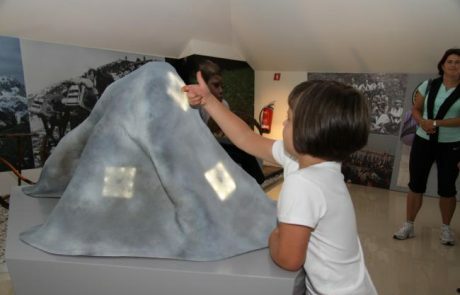 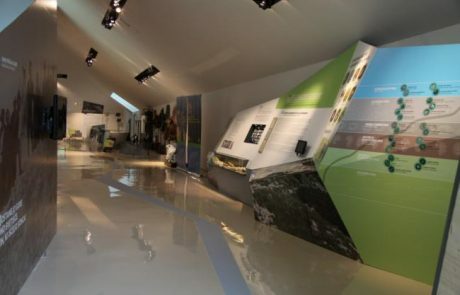 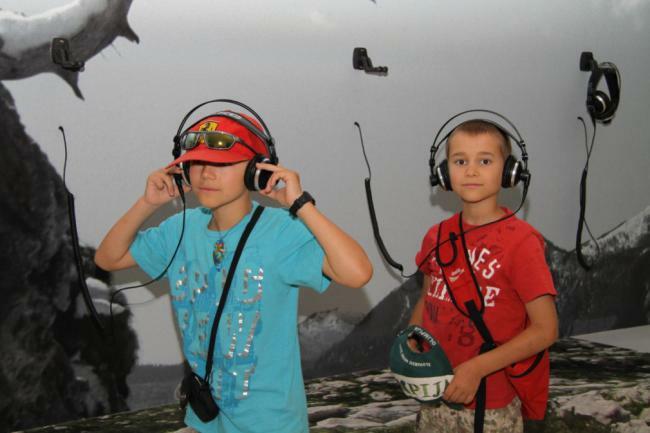 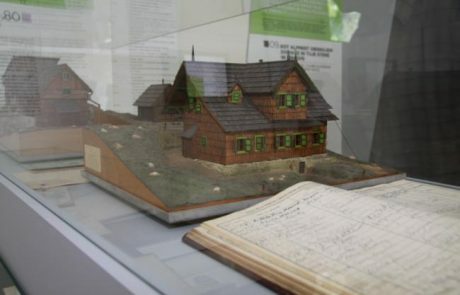 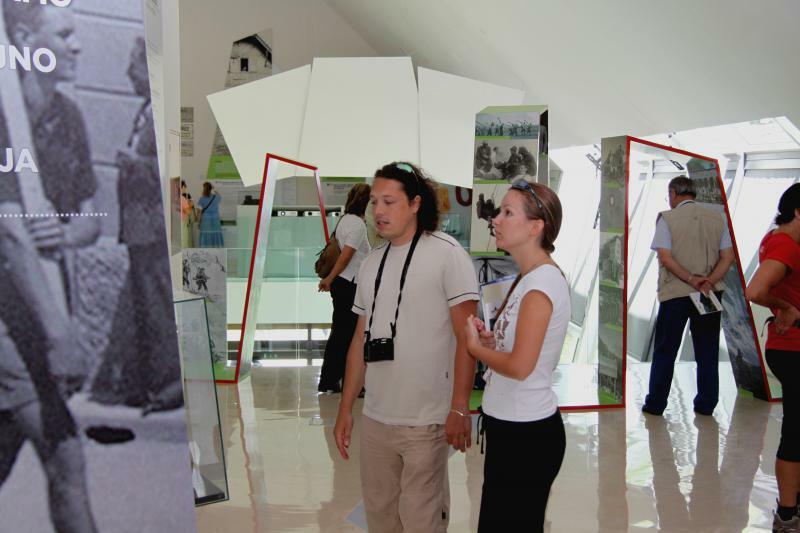 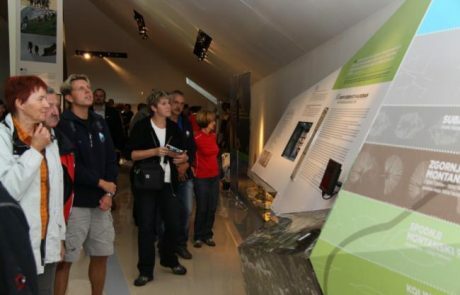 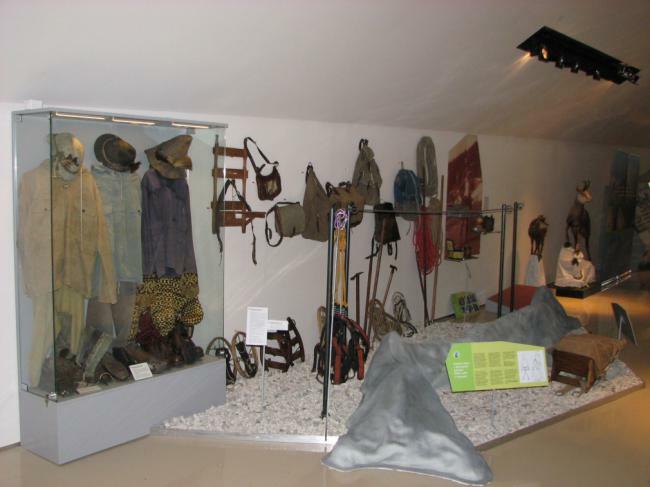 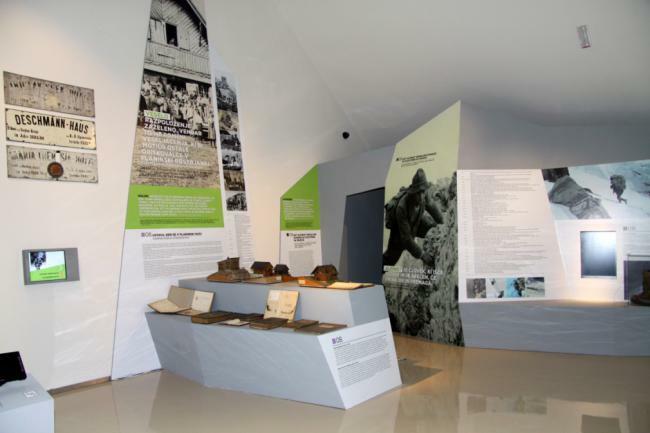 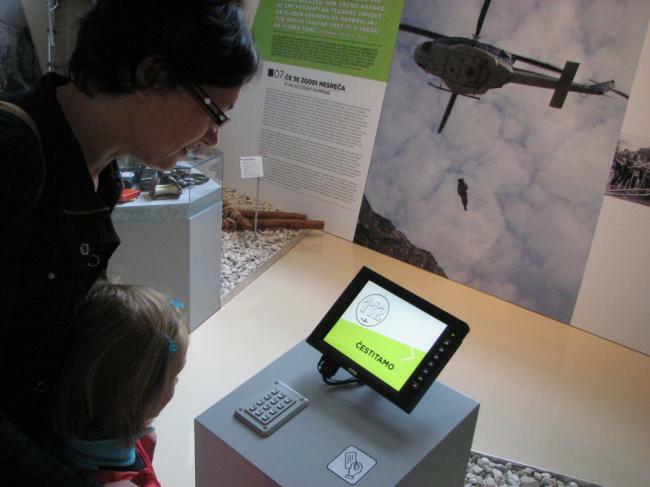 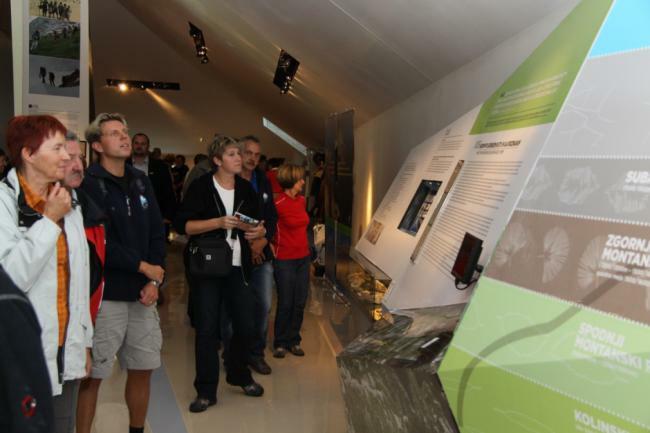 The permanent exhibition will take you on a tour – a mountain climb – through the history of mountaineering in Slovenia. The path leads through eleven thematic sections and milestones of Slovene mountaineering, alpine climbing, and the mountain rescue service, illuminating the various motives which have inspired people to enter the mountain world since prehistoric times. 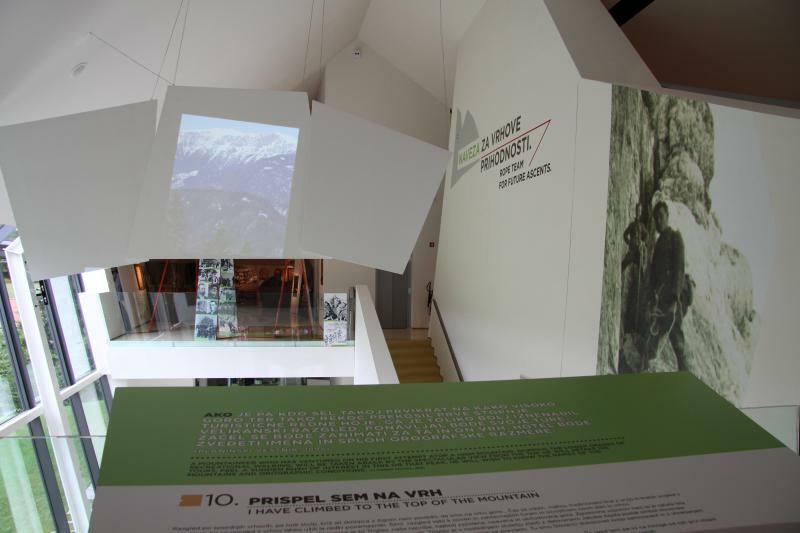 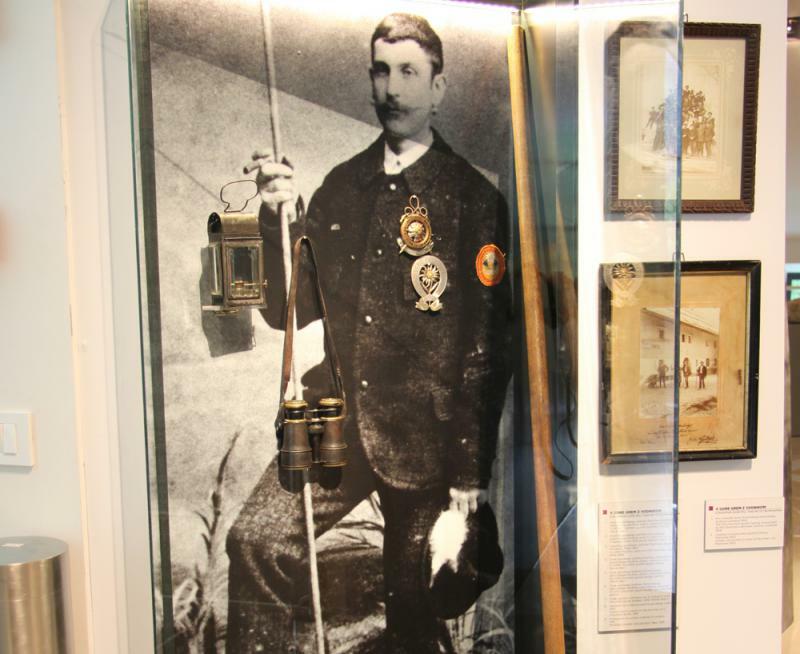 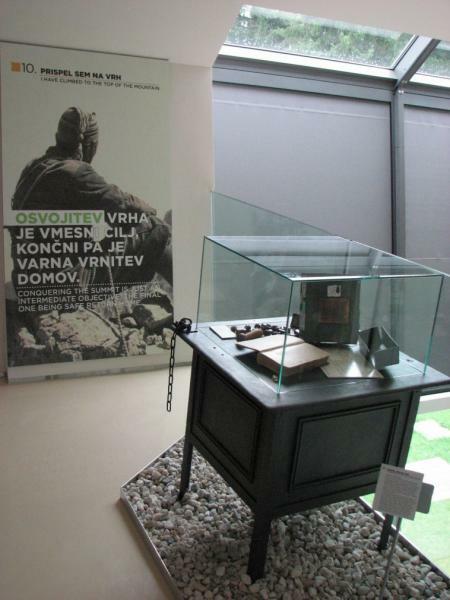 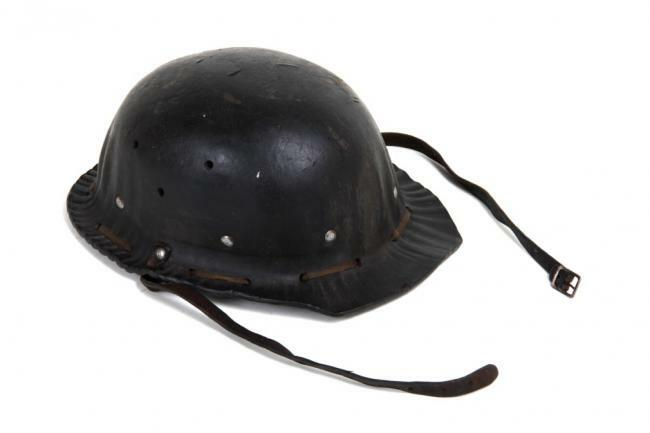 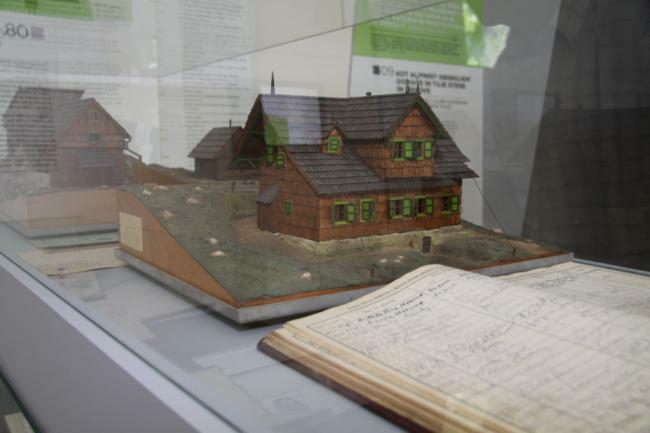 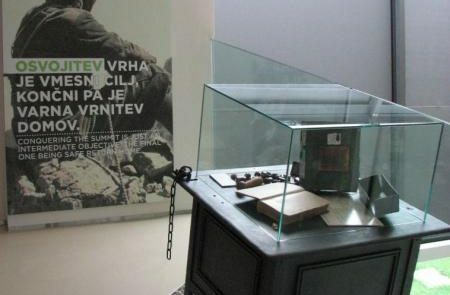 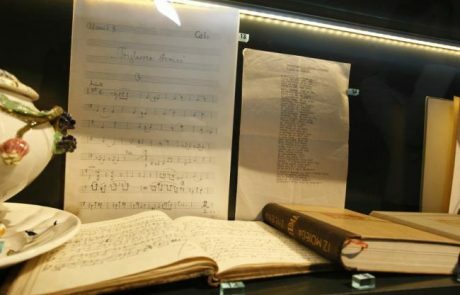 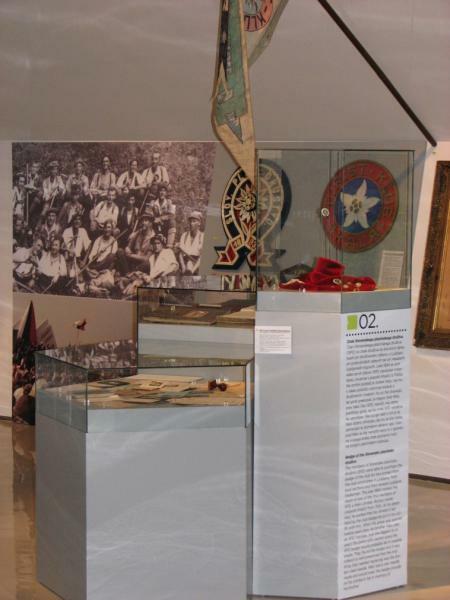 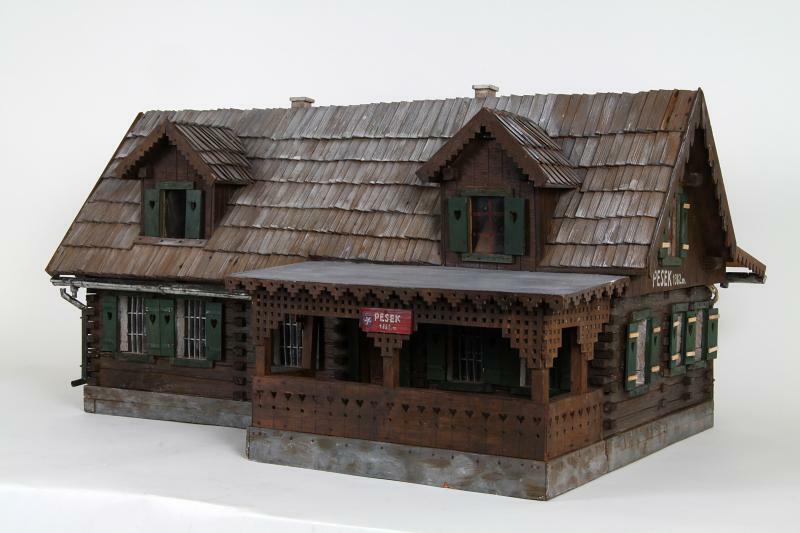 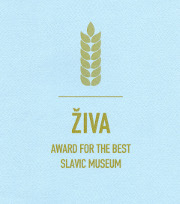 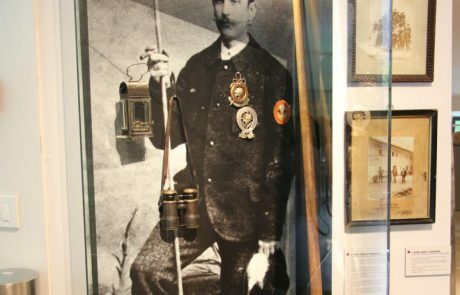 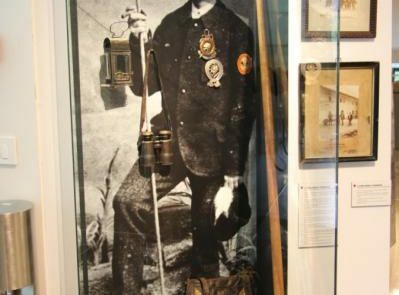 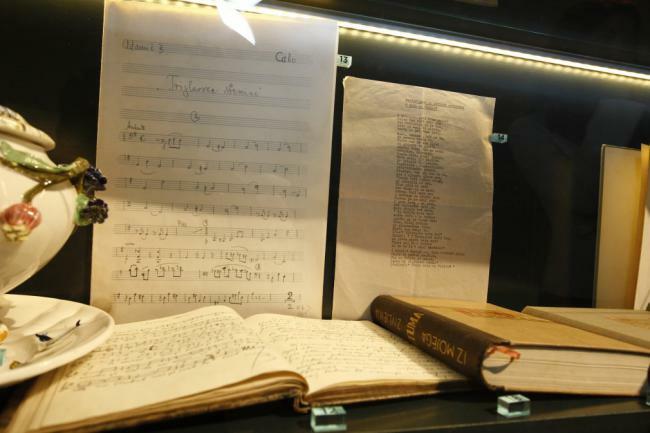 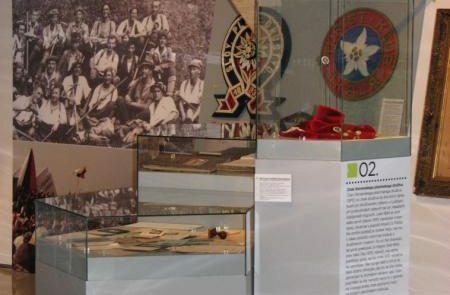 The museum narrates the story of Slovene mountaineering, strongly associated with patriotism. It follows the development of Slovene organised mountaineering and first climbing aspirations, all the way to the modern-day world famous climbing achievements of Slovene climbers at home and abroad. 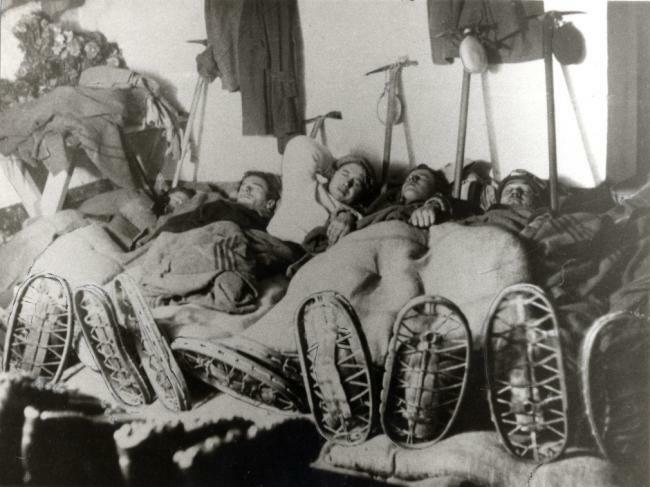 You will be acquainted with the first mountain guides, porters, hard-working peasants laying out the first mountain trails, and mountain rescuers, as well as our best modern day alpinists. 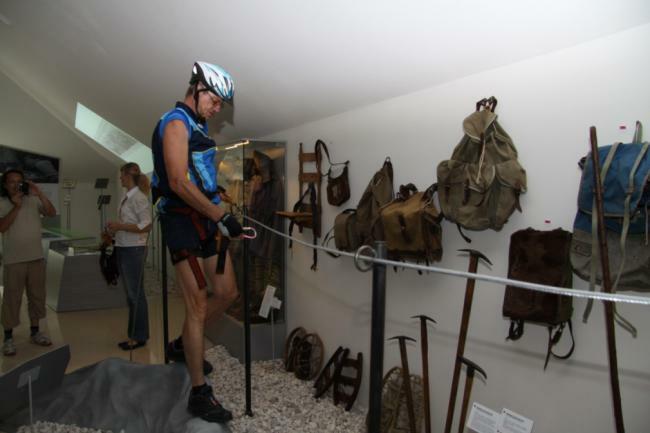 To ensure you tread the mountain trail safely not only inside the museum but outdoors as well, we have equipped the exhibition with useful directions on how to get ready for a mountain hike. 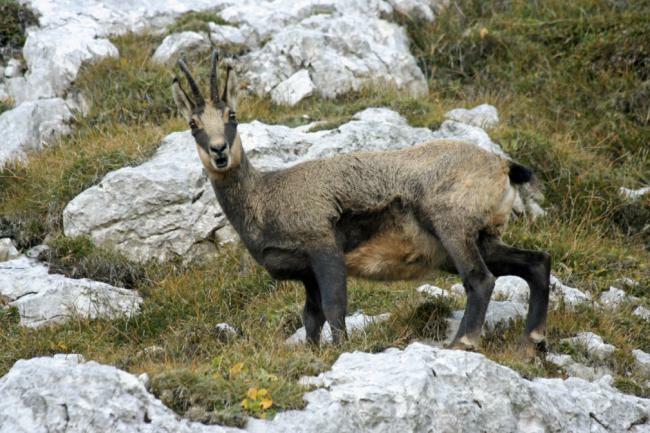 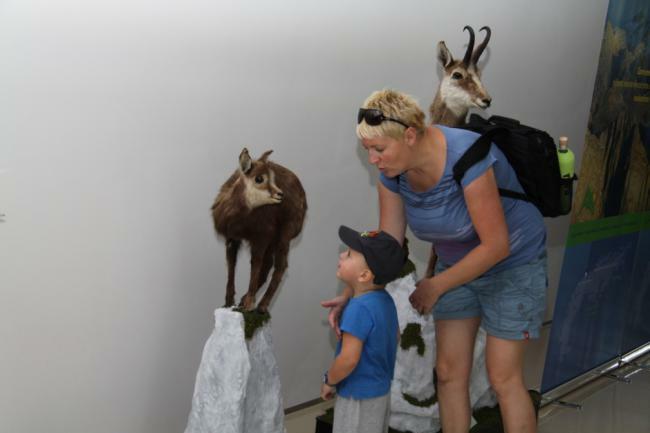 On your museum tour you will familiarise yourself with the rich mountain flora and fauna and the conservation issues faced by the Alpine regions. 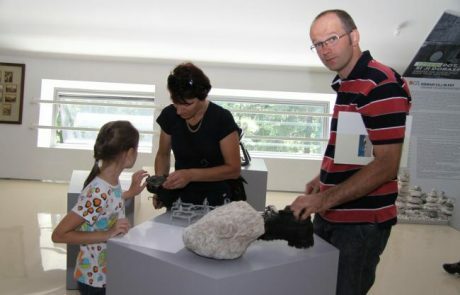 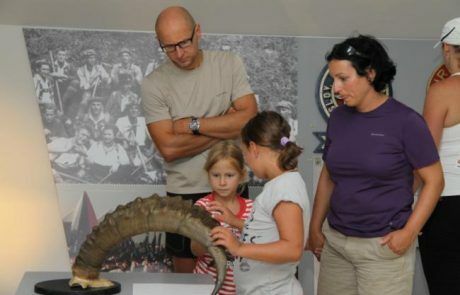 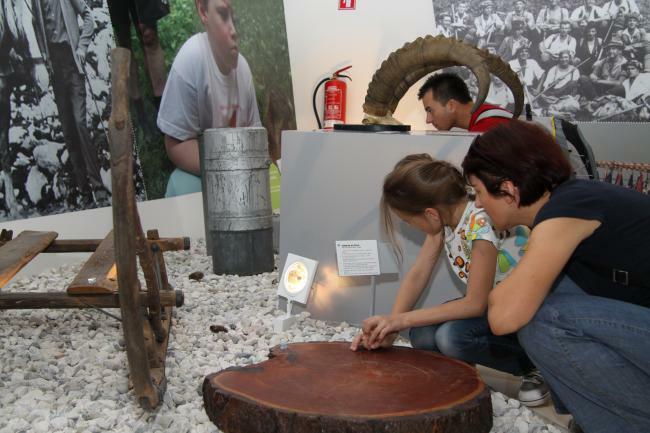 The exhibition or your museum mountain climb is a personal, hands-on experience of the Slovene mountains and their history, designed to be experienced just like the real mountain climb. 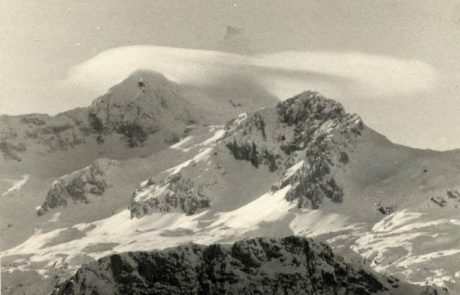 The three key driving forces behind any mountaineering trip are an irresistible urge, curiosity, and longing. 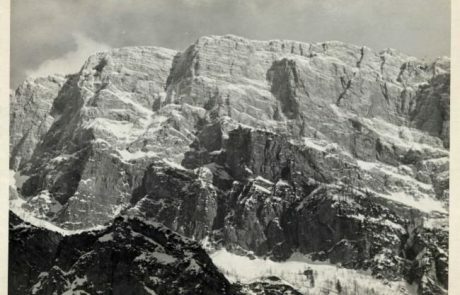 The mountains, their pervasive image being one of distance and inaccessibility, have always instilled fear and respect in people. 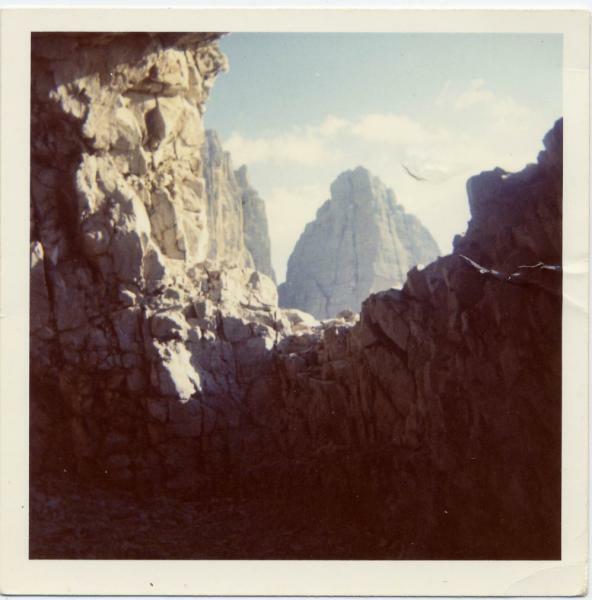 Areas of untamed beauty, mountains were clad in a veil of myths and tales. 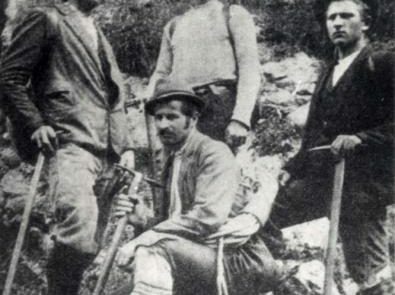 Ordinary people, however, depended on these mighty masters for their survival. 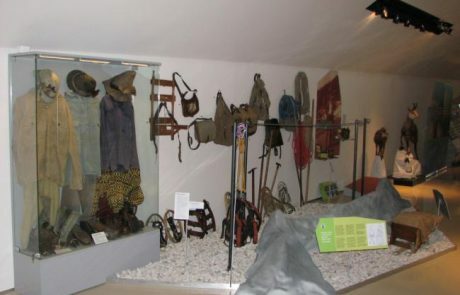 Thousands of years ago, people walked the mountains to satisfy their economic need, as hunters, shepherds, herdsmen, alpine dairy farmers, miners, charcoal-makers and herbalists, but also for religious reasons as pilgrims. 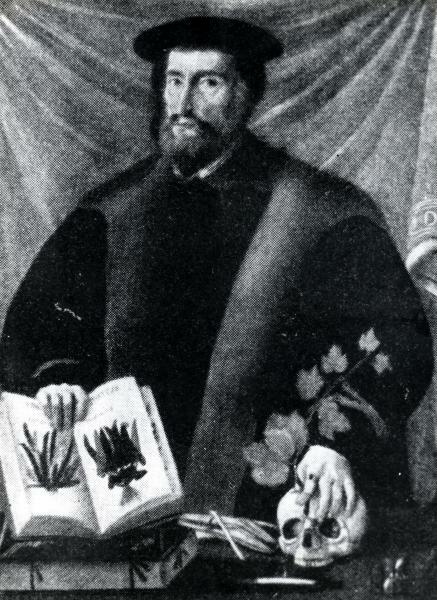 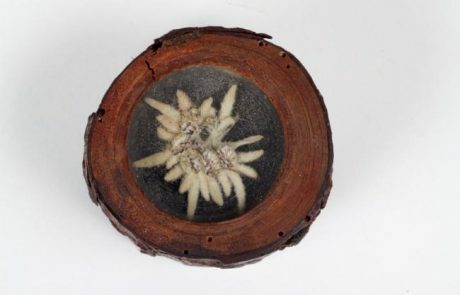 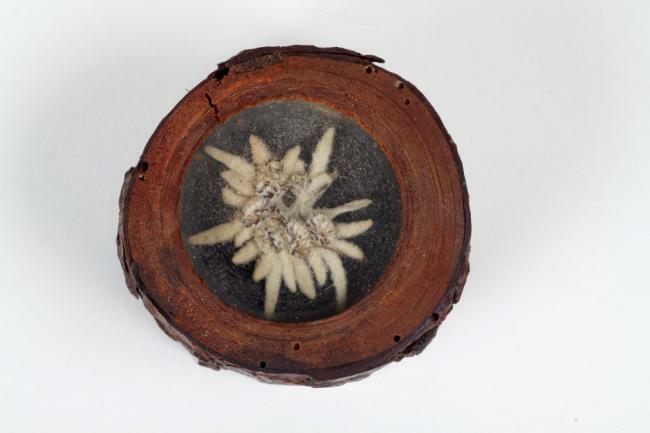 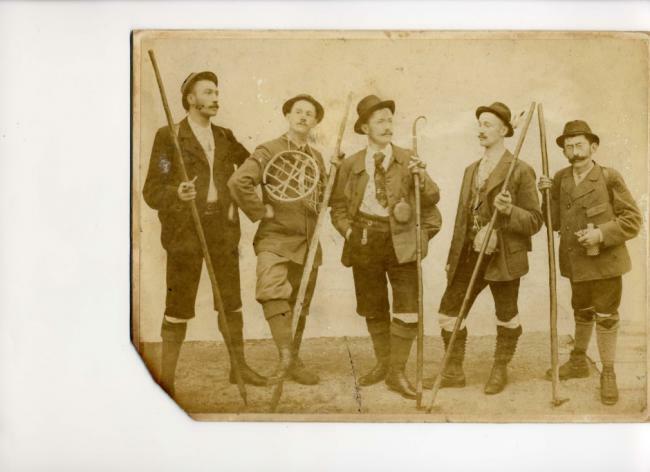 Only later, in the 18th century, were they joined by the first explorers – natural scientists, mostly botanists – who started exploring the mountains with the help of local guides. 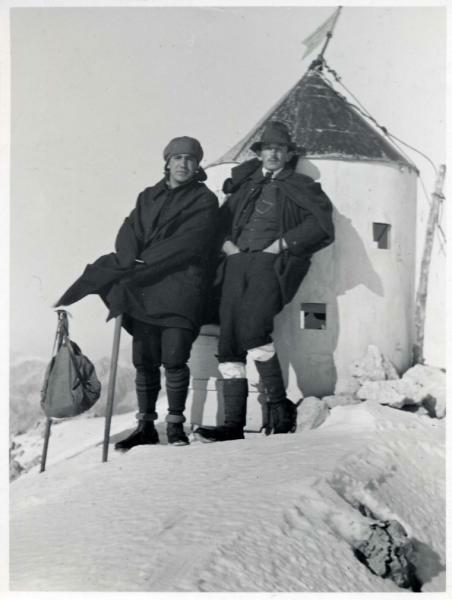 In time, the economic aspect of mountaineering was replaced by admiration and exploration of the mountains and their beauties. 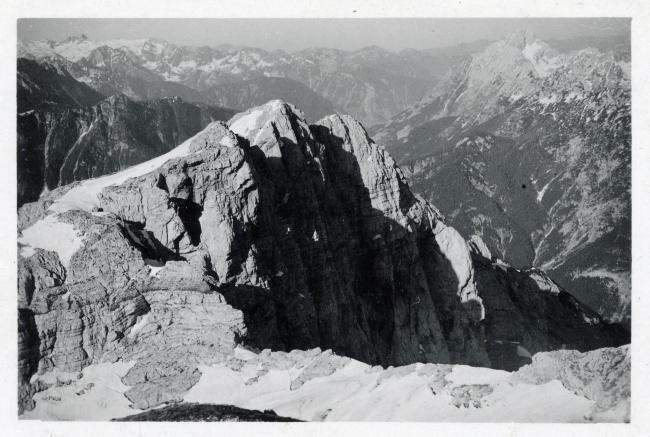 The results were two-fold: the mountains inspired a national patriotic sentiment and became a place for doing sports. 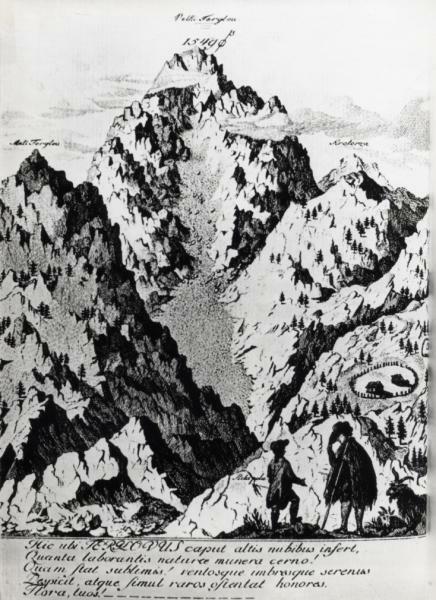 Throughout the centuries, Slovenian mountains have come to symbolize longing, self-affirmation, ascent, and the ability to overcome obstacles. 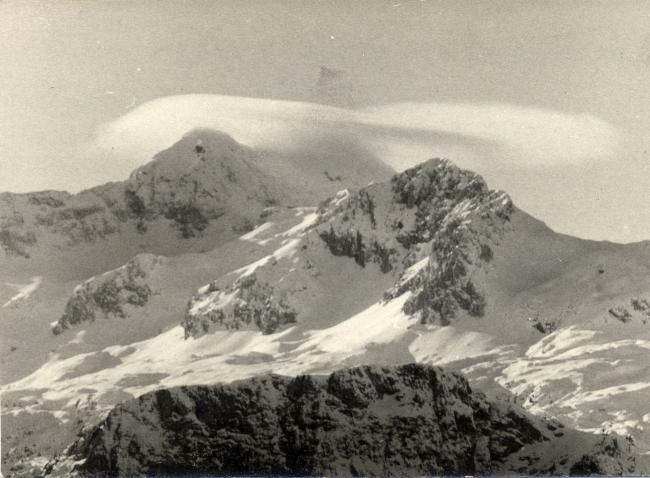 The mountains have attracted many foreign visitors over the years who have spread their fame throughout the world. 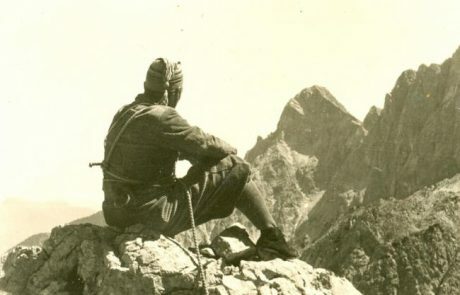 Today mountains are a meeting place for people from different parts of the world, people of different beliefs, people with different objectives; they are a place where tolerance and understanding walk hand in hand. 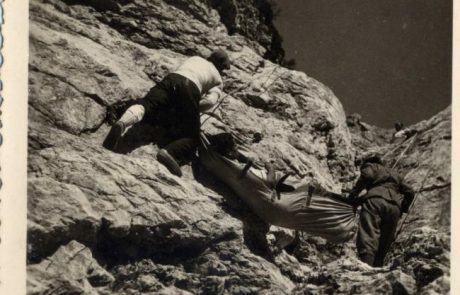 Membership in a mountaineering organisation is a value in itself, and voluntary work a token of respect and courage. 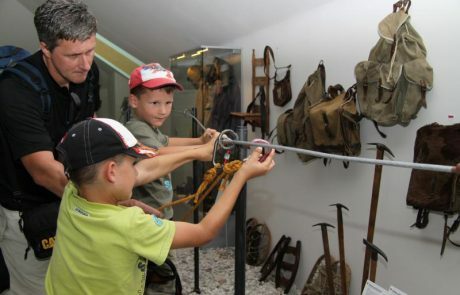 Membership in a mountaineering organization brings its members several benefits: they are provided with year-round opportunities for recreational and guided activities, learning and exploration, good companionship, experience of the mountains and the versatility of the mountaineering lingo. 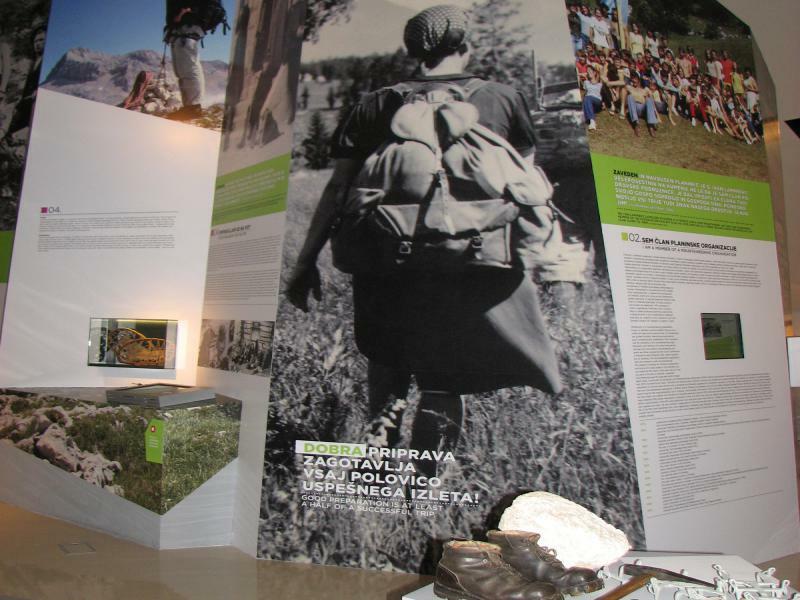 Education and training is of utmost importance; the best and most diverse mountaineering programs are those provided by the Youth Commission of Planinska zveza Slovenije (PZS; Alpine Association of Slovenia). 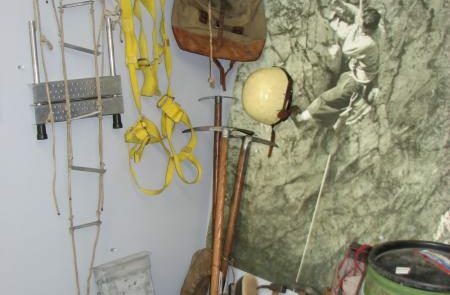 The mountaineering organization trains its members in safe mountaineering. 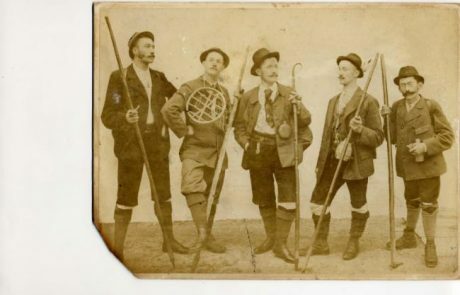 The tradition of looking for climbing companions and joining into clubs started in the mid-19th century when the first Alpine Clubs were set up in various parts of Europe. 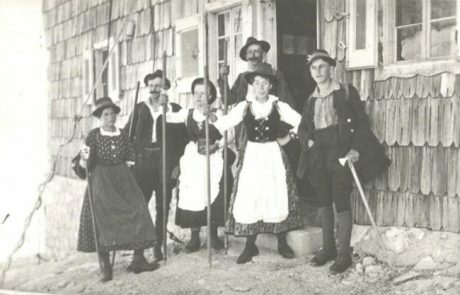 In Slovenia, organized mountaineering was first practised within foreign alpine clubs, in particular the Deutscher und Österreichischer Alpenverein (DÖAV; German and Austrian Mountaineering Society) and the Österreichischer Touristenklub (ÖTC; AustrianTourist Club). The DÖAV had Section Krain (Carniolan Section) and showed low tolerance towards the Slovenes. 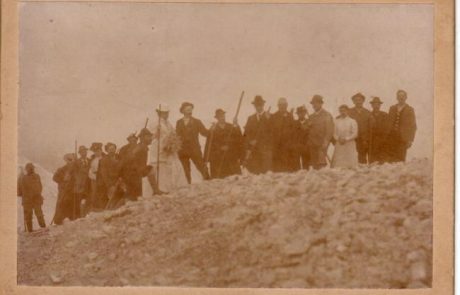 On account of extreme German nationalism on the one hand and the wish to preserve the Slovenian appearance of Slovenian mountains on the other, Slovene patriots soon felt the need to establish their own mountaineering organization. 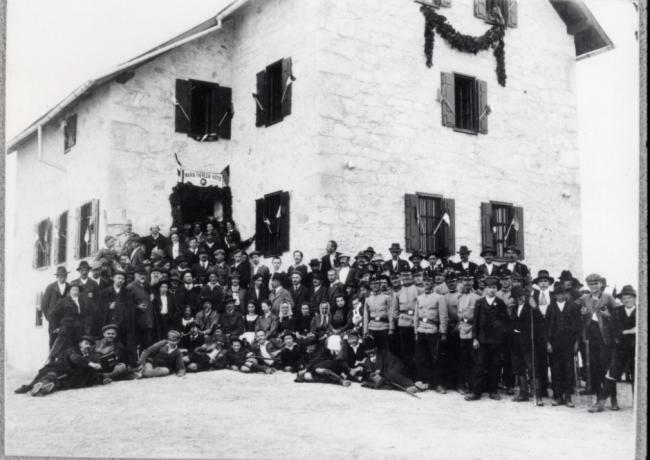 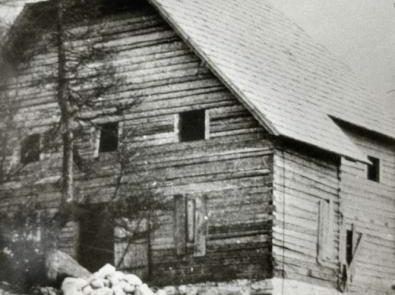 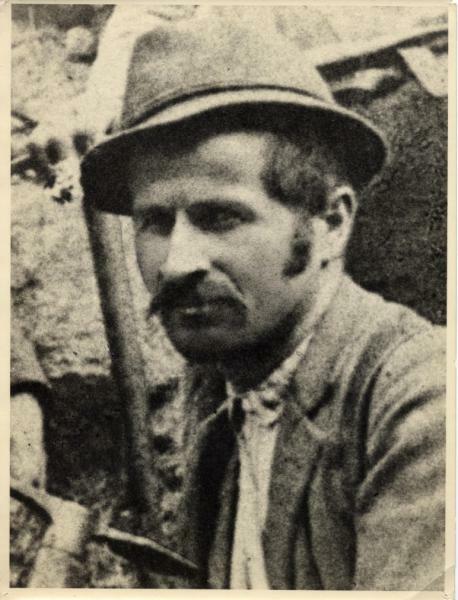 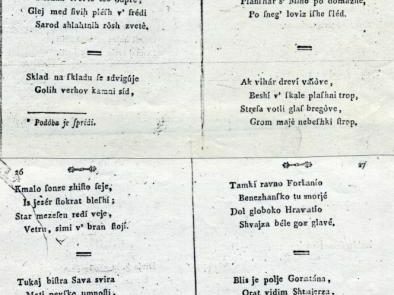 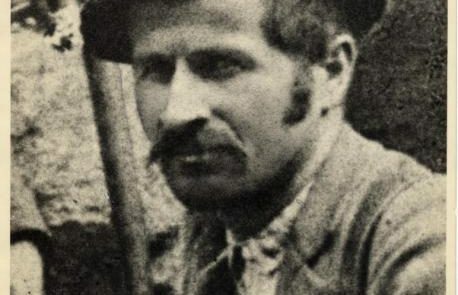 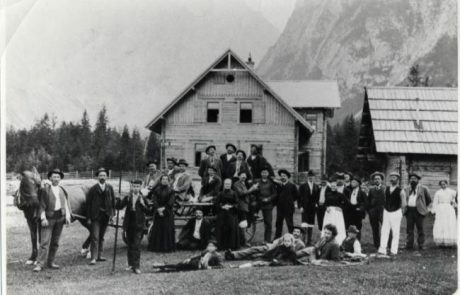 In Bohinj, devout Slovene mountaineers set up a club called Triglavski prijatelji (Triglav Friends) as early as 1872, which is believed to be the first mountaineering club in Slovenia. Unfortunately, the activity of the club soon died out due to disapproval of the government. 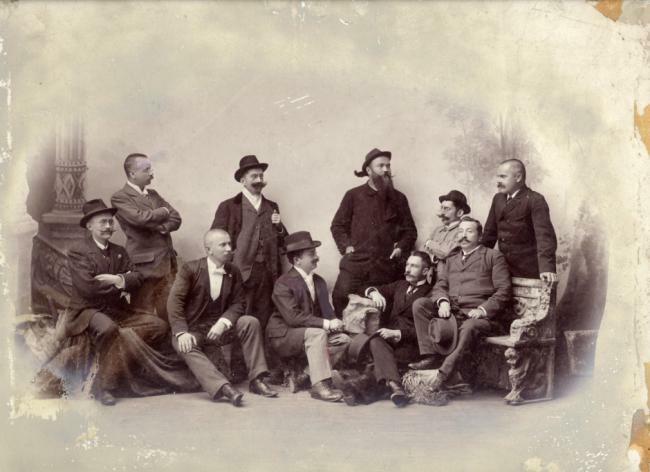 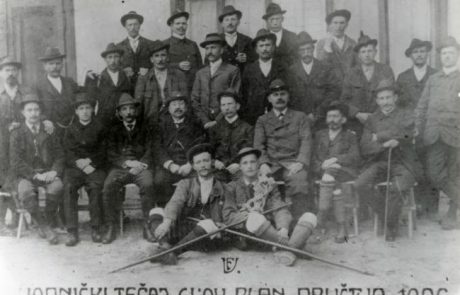 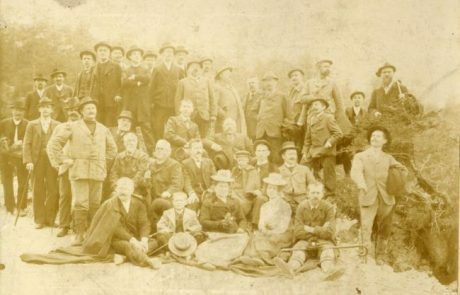 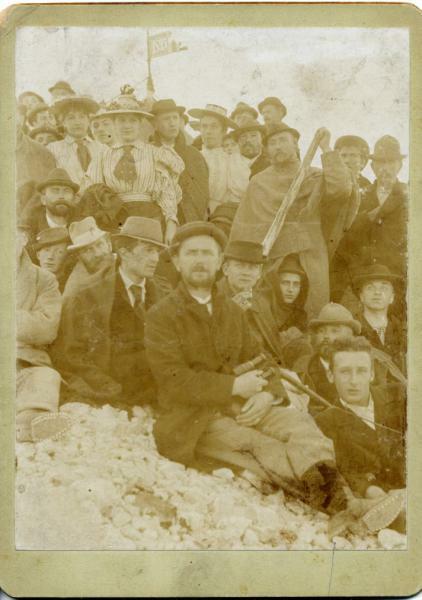 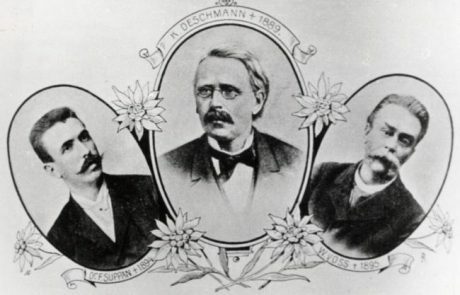 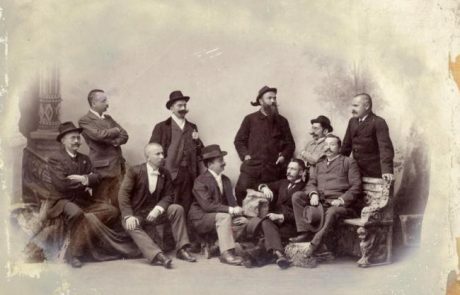 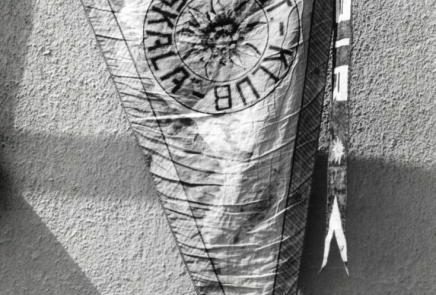 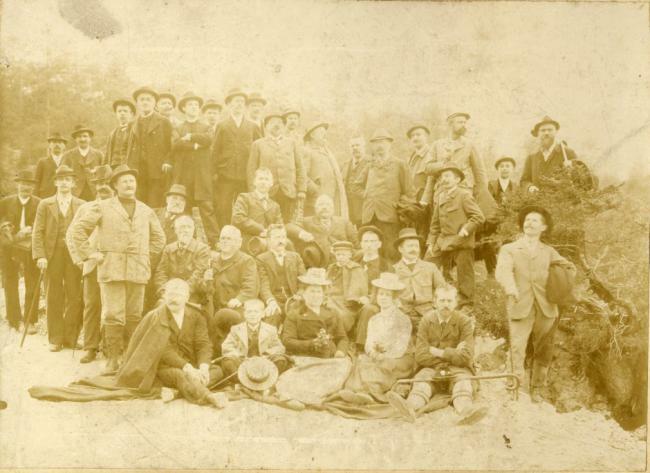 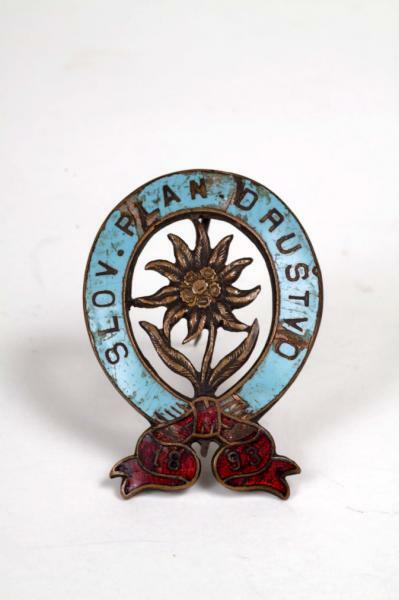 In 1893 members of the Pipa (Pipe) club initiated the formation of Slovensko planinsko društvo (SPD; Slovenian Mountaineering Society), which has been active ever since as Planinska zveza Slovenije (PZS; Alpine Association of Slovenia). 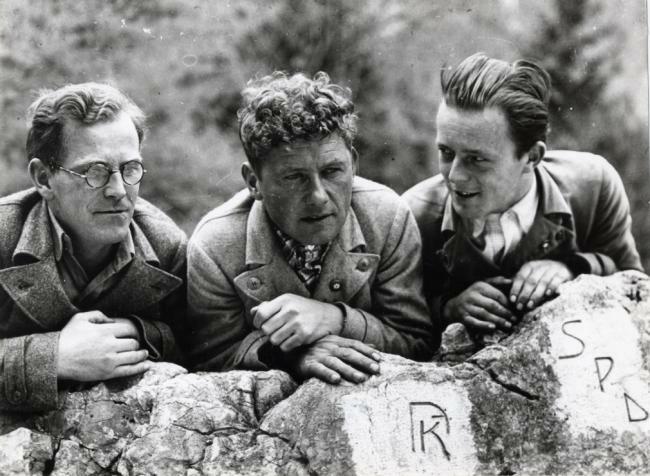 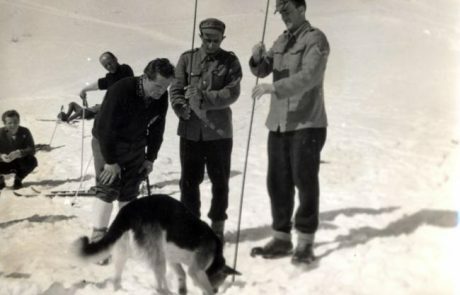 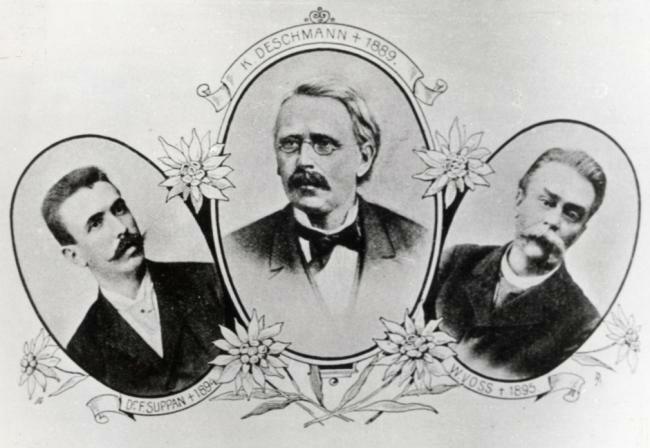 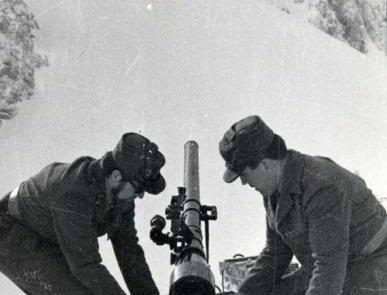 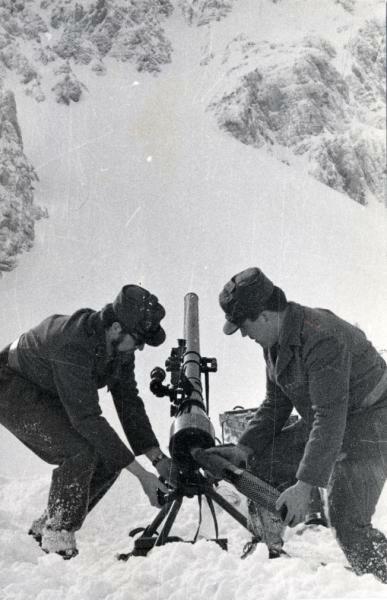 At first, the SPD’s main task was defense against foreign influence, and expansion of Slovenian mountaineering efforts. 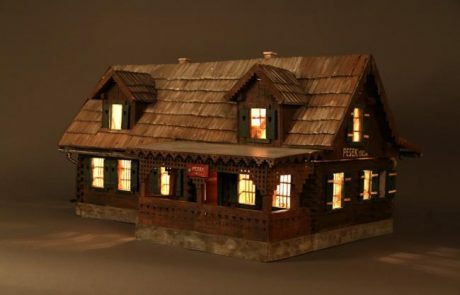 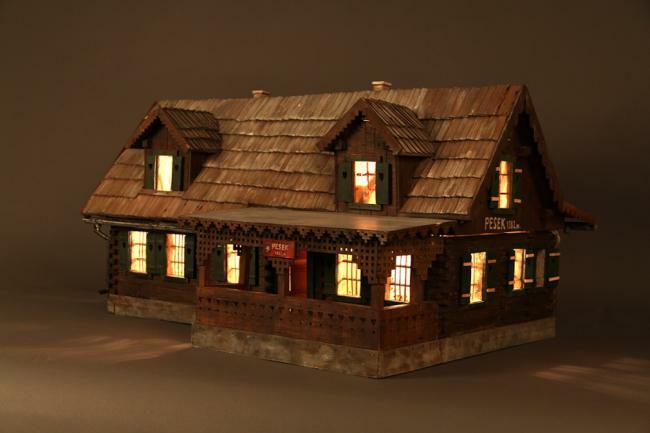 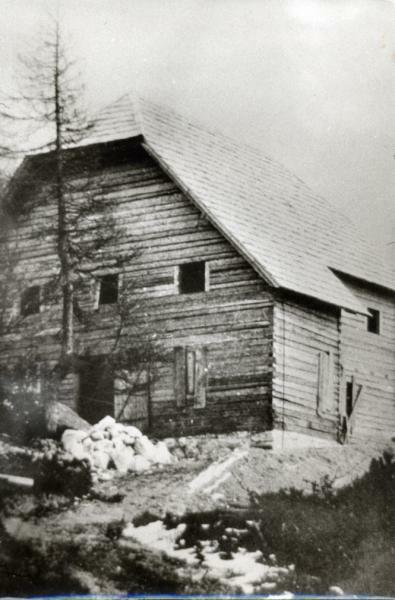 Local sections of the SPD were established, huts were built, paths were laid-out. 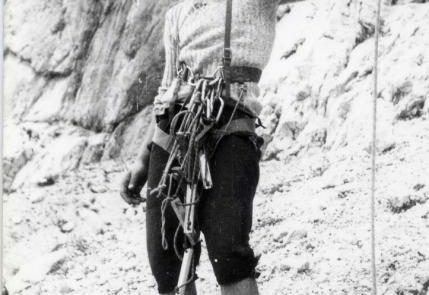 Climbers, whose primary goal was consistent promotion of climbing, would also organize into clubs. 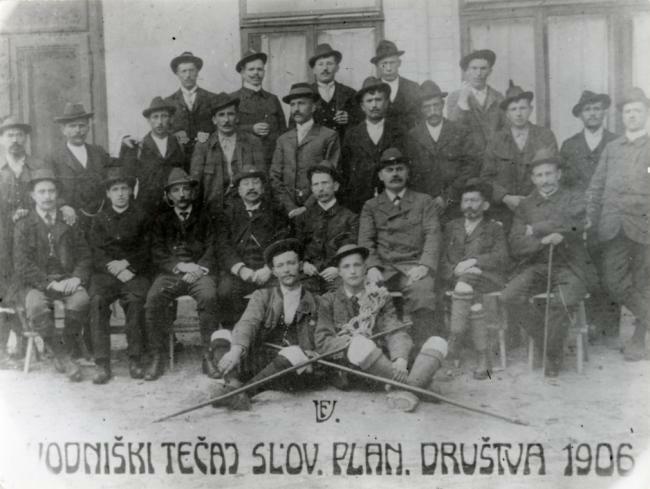 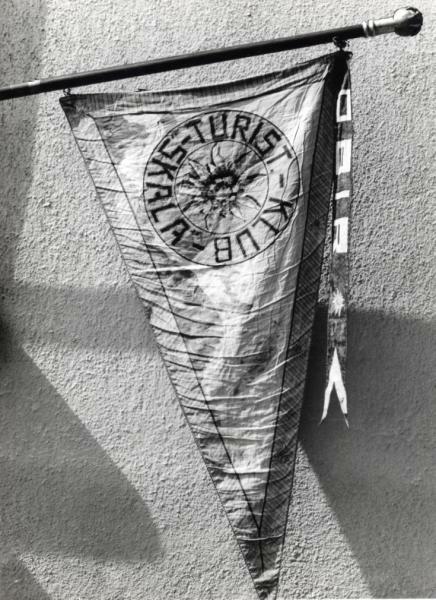 The main climbers’ organisations of the time were the Dren climbing club and the club Turistovski klub Skala. 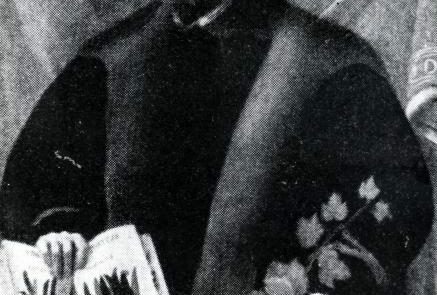 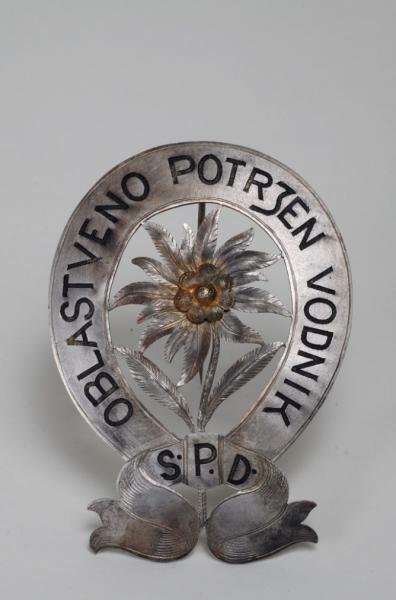 After World War II, all the activities of the SPD were transferred onto a new organization, Planinska zveza Slovenije. 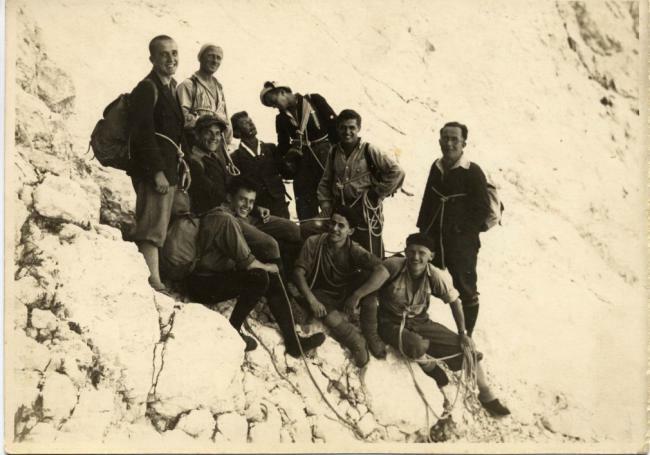 The organization connects mountaineering, climbing and other clubs that have evolved from the former society sections or were set up anew, several of them founded by the Slovenian minorities in Italy and Austria and by Slovenian workers abroad. Choose the route that suits your abilities! 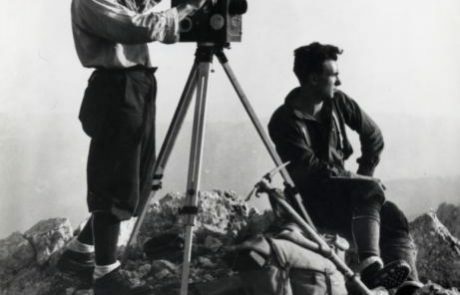 When preparing for a trip to the mountains and choosing the destination and the route to take, we should always consider our skills and experience, level of fitness, and stamina. 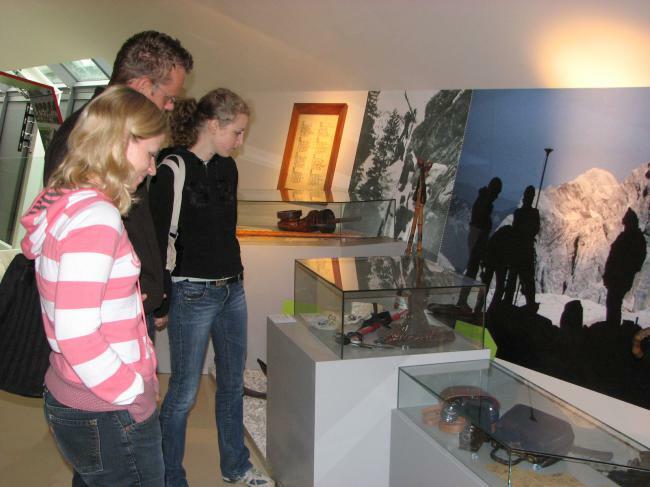 It is recommendable to make the first couple of tours in the company of more experienced mountaineers or join a mountaineering trip organized by an Alpine Club. 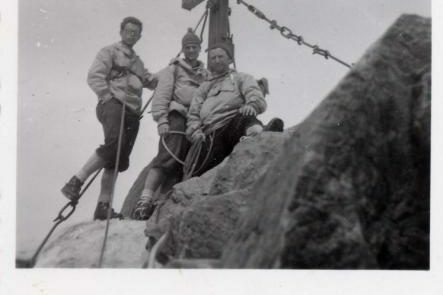 A few easy walks should precede more demanding climbing attempts. 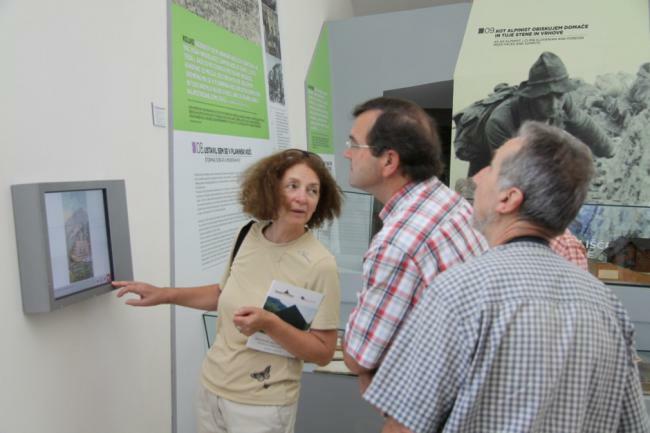 Use mountaineers’ guides and maps to gather information on the route or ask someone who has recently taken it. 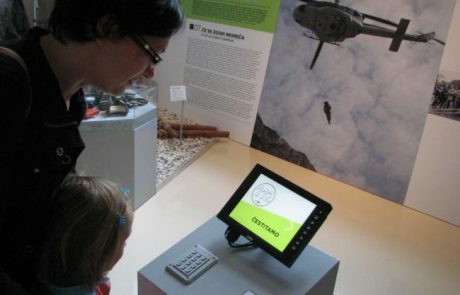 Check the weather forecast for several days ahead. 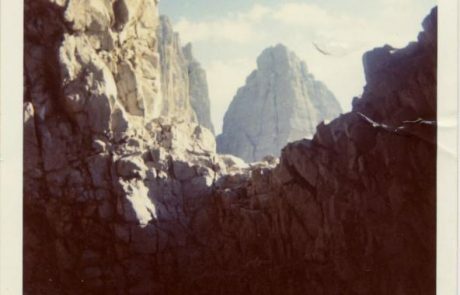 For the ascent, choose a route that suits your abilities, and an easy one for the way down. Keep to maintained and waymarked paths, which can be found in all regions of Slovenia though their number and density is highest in the Alpine part of the country. 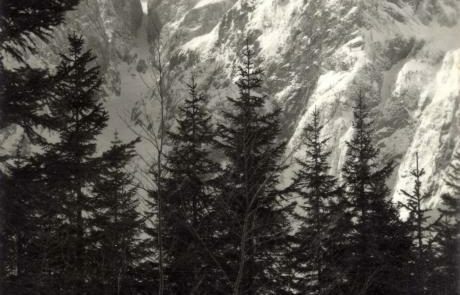 The paths are carefully laid-out, well-kept and clearly waymarked. 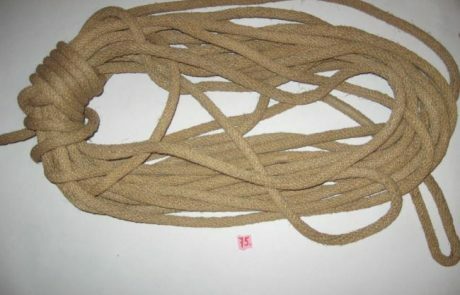 In terms of technical difficulty, routes are classified into easy routes, requiring no use of hands, demanding routes, where use of hands is required in exposed sections, and very demanding routes, where you will certainly be required to use your hands. Demanding and very demanding routes are equipped with safety aids, e.g. 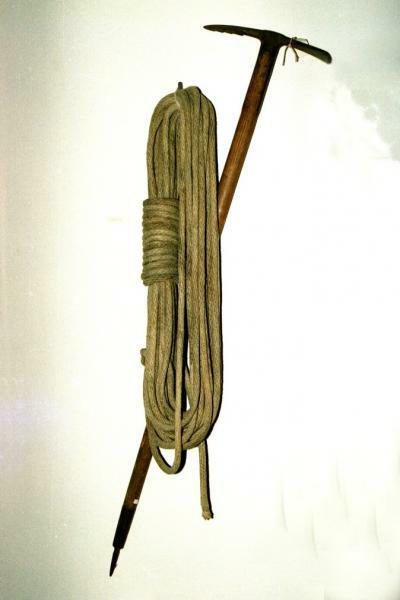 pitons, wire ropes, and holds. 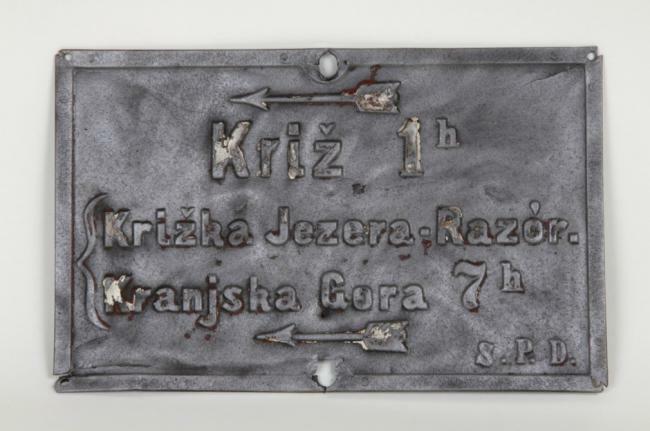 All trails are marked with red signposts with white lettering and with the Knafelc’ marking – a white circle with a red surround. 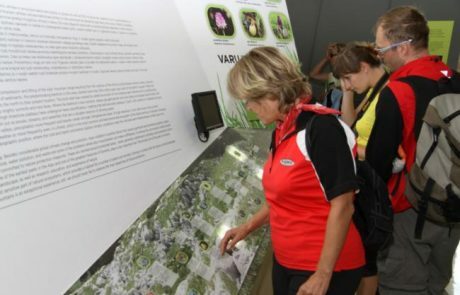 A particular feature of Slovenia’s mountain trails is a system of connected routes called transverzale. 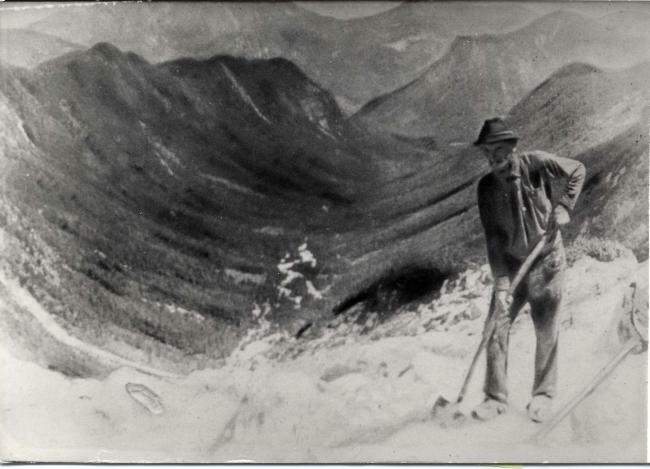 The first trails were cut by local people who walked the mountains for reasons of grazing, hunting, charcoal making, and mining, but the waymarking and protection of mountain paths only started when the mountains were discovered by explorers. 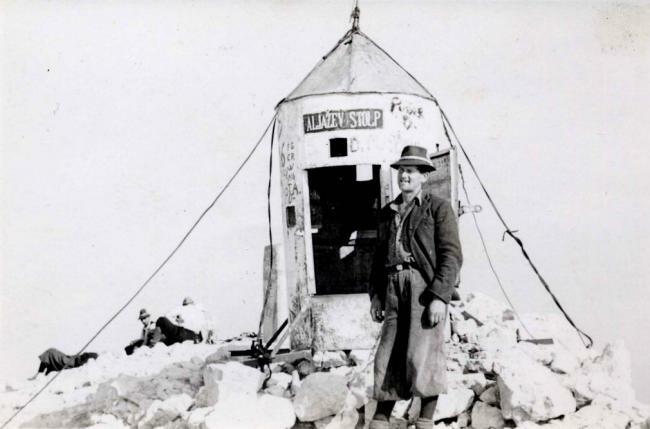 The first waymarks were cairns, manmade piles of stones, often in a conical form. Up until the end of World War I, Slovenian paths were blazed with straight lines of red, green, yellow, and blue, but since then the Knafelc’ marking is the only waymark used. 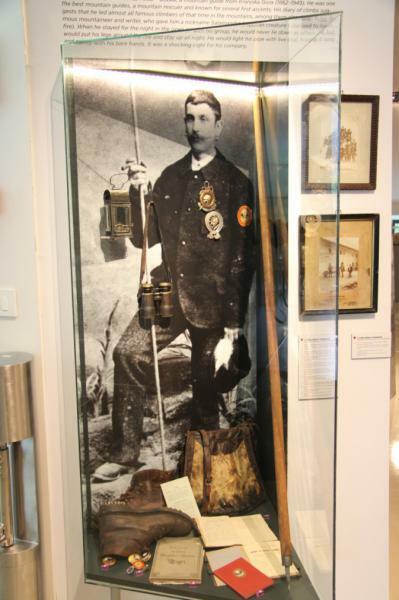 Good preparation is at least a half of a successful trip. 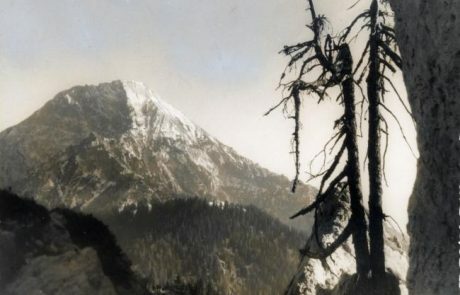 The way you prepare for a trip to the mountains will depend on the grade of the walk, your itinerary, weather conditions, duration of the trip and on whether you intend to take the trip alone or in a group. 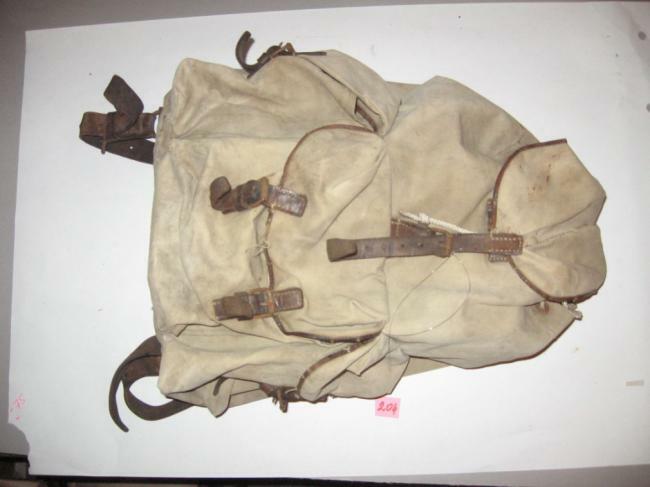 Ankle-high hiking boots with a sturdy sole and a rucksack of sufficient size are a must. Besides the rather obvious snack, beverages and some form of personal ID, it is also essential to carry in one’s rucksack a pair of gloves, hat, rainproof anorak or windjacket, sun-cream, spare clothing, compass, map of sufficient accuracy, first aid kit in aluminium foil, whistle, bivouac bag, matches, candle, and a torch. 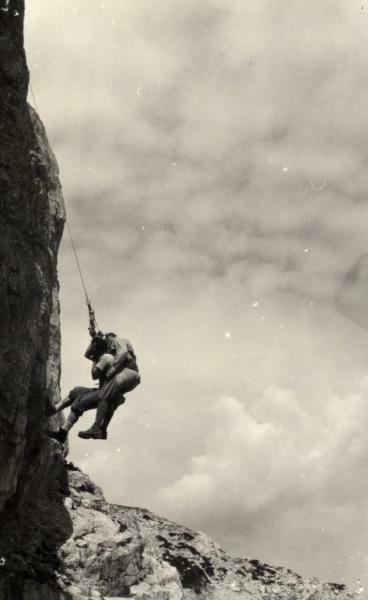 Very demanding routes that include actual climbing require a helmet, harness and self-belaying kit. 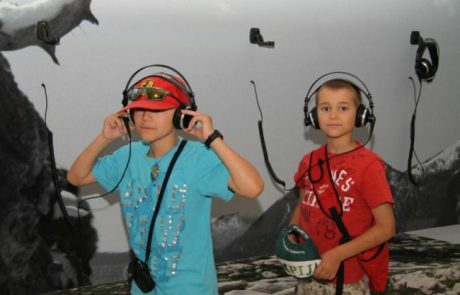 For better visibility, your top clothes should be in bright colours, as well as your backpack. 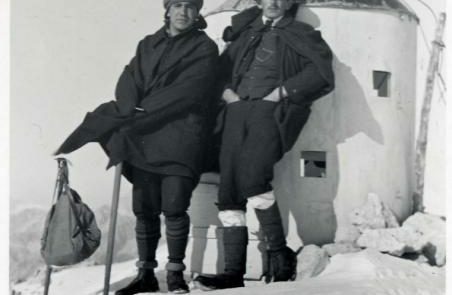 The standard advice is to dress in layers. 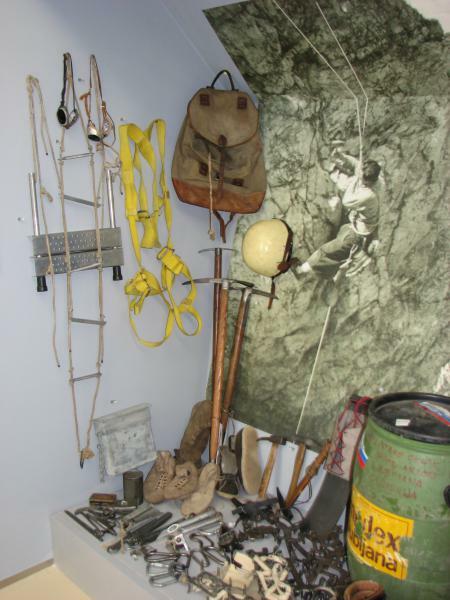 Mountaineering equipment has undergone a rapid technical and technological advancement. 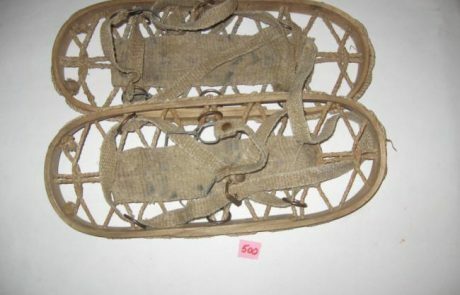 Over the last decades in particular, the market has been flooded with new, more advanced materials and gear. 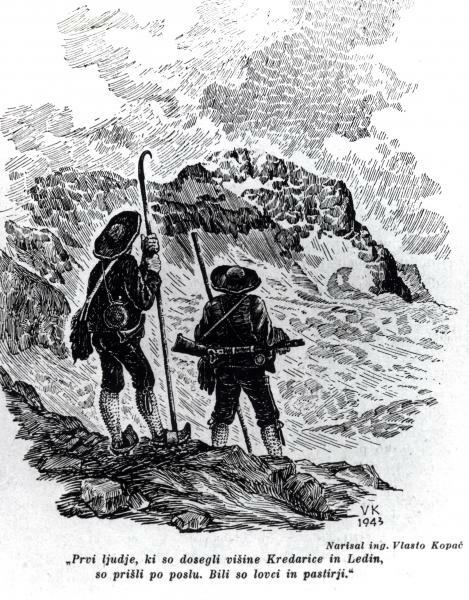 The first mountaineers, however, used no special gear on their walks, trips or guided tours. 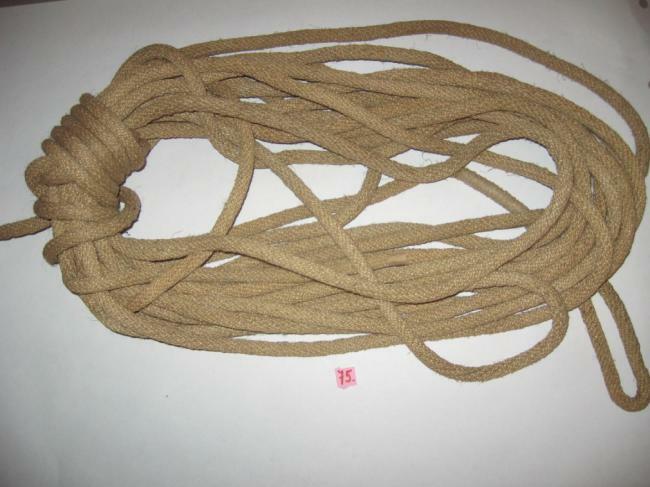 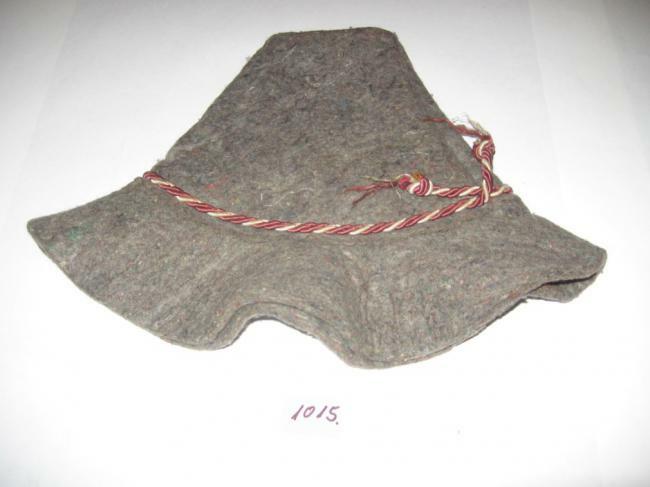 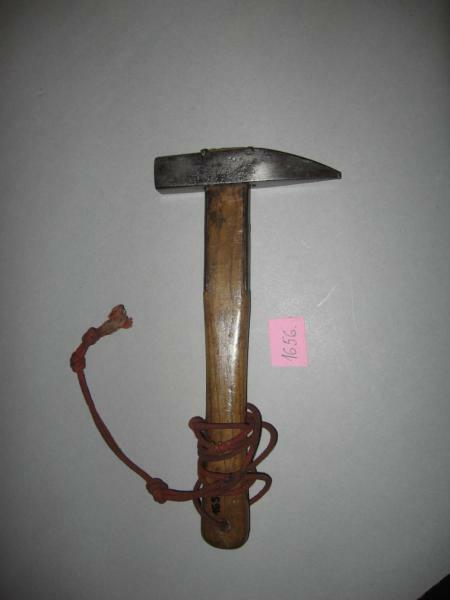 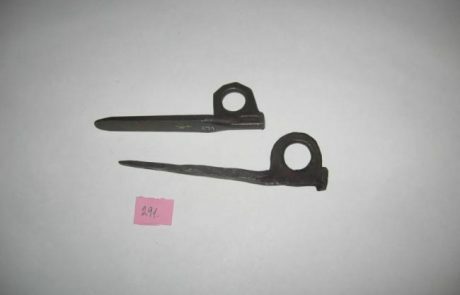 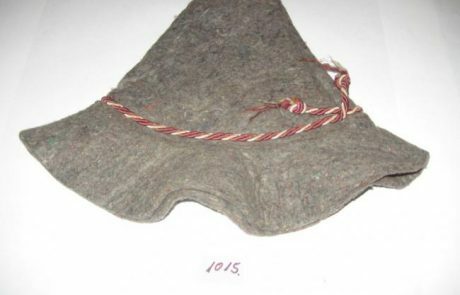 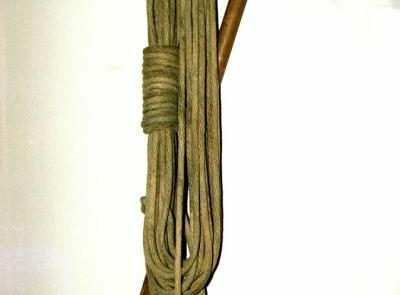 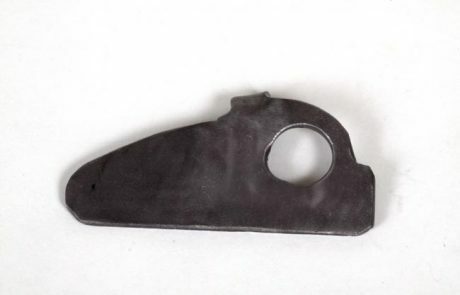 Mountain guides often used tools originally intended for farming purposes, e.g. 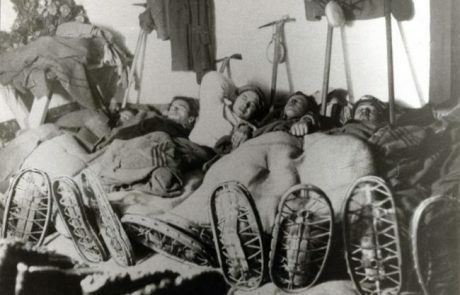 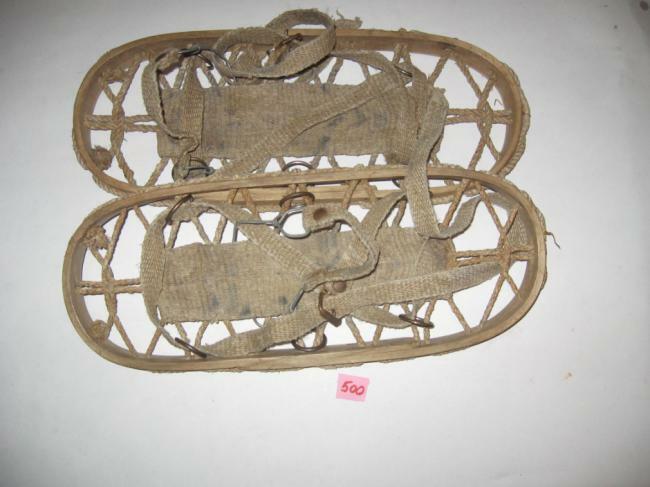 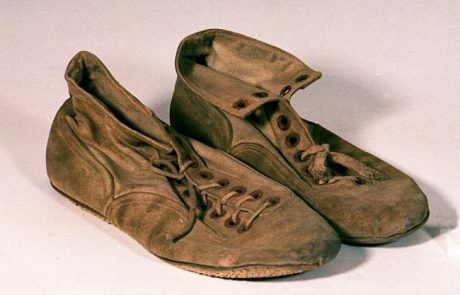 crampons, which they either made themselves or had made by local craftsmen (ropes, boots, snowshoes, metal-capped walking sticks). 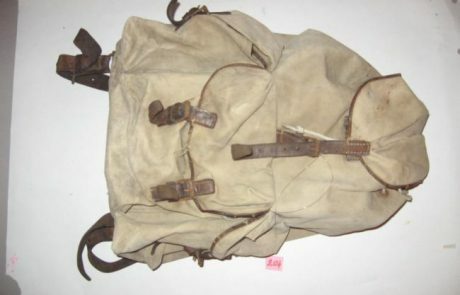 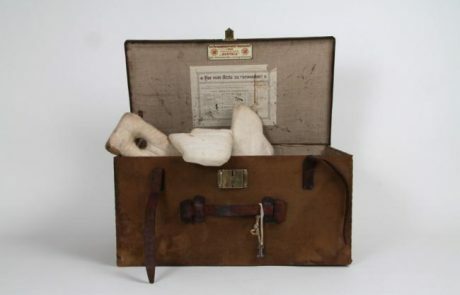 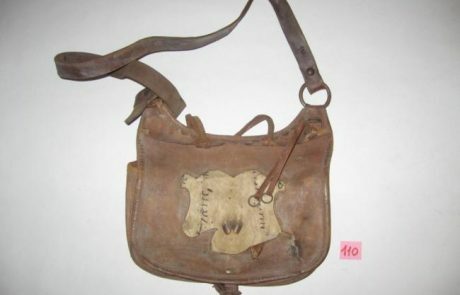 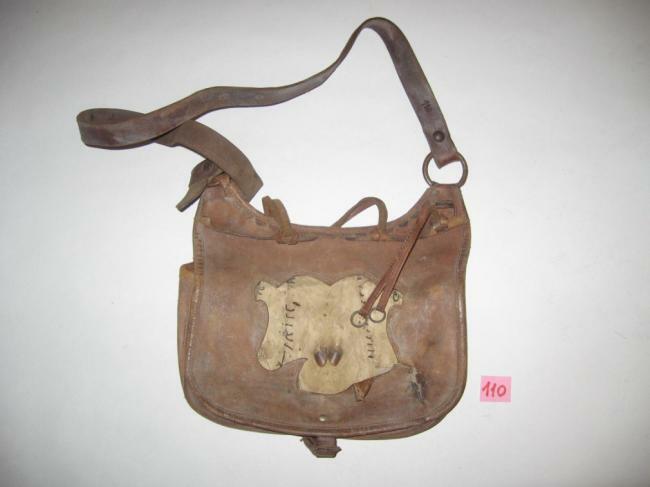 Before the invention of a rucksack, people would carry things in various sacks and bags. 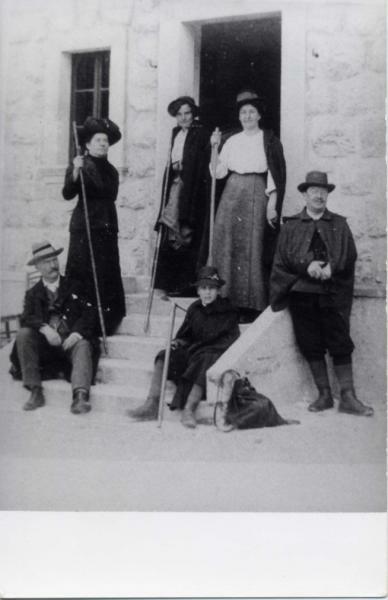 The clothes they wore in the mountains were similar to their daily wear; women would hike in long skirts, most men preferred hiking breeches. 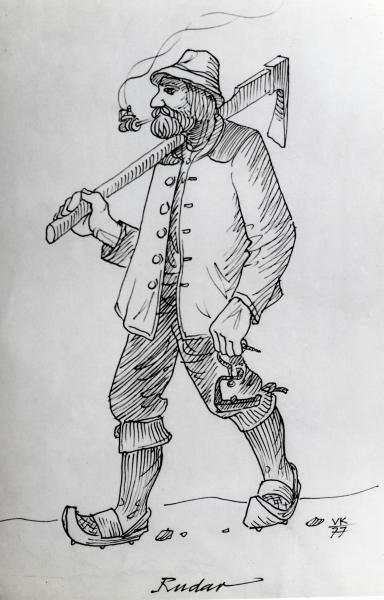 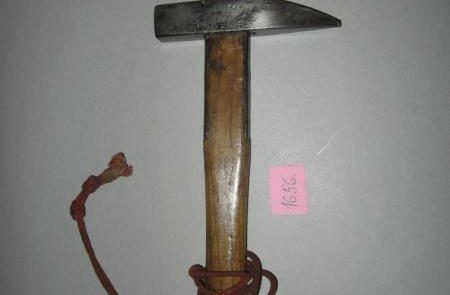 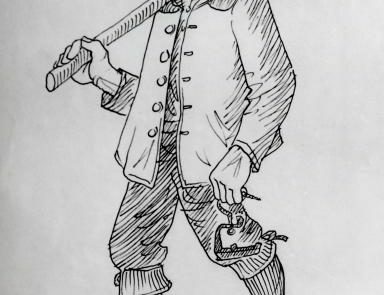 Until the ice axe was introduced, mountaineers used axes, hammers and mountain sticks. 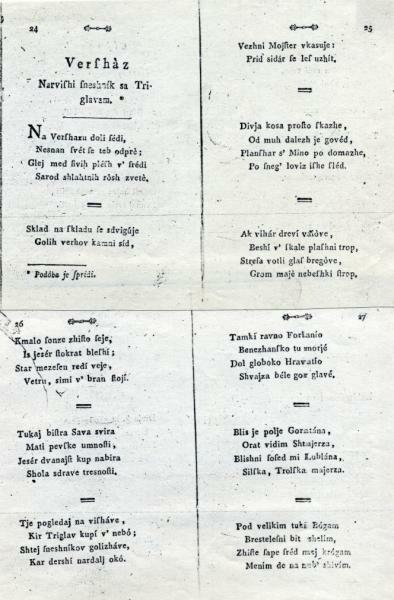 The first issue of Planinski vestnik, published in 1895, featured an article describing the “wear and gear of a mountaineer”. 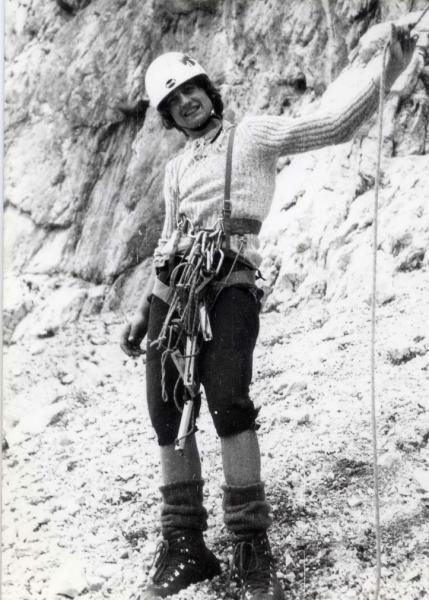 The most important task of mountain guides is to protect their clients, themselves, and to preserve the nature. 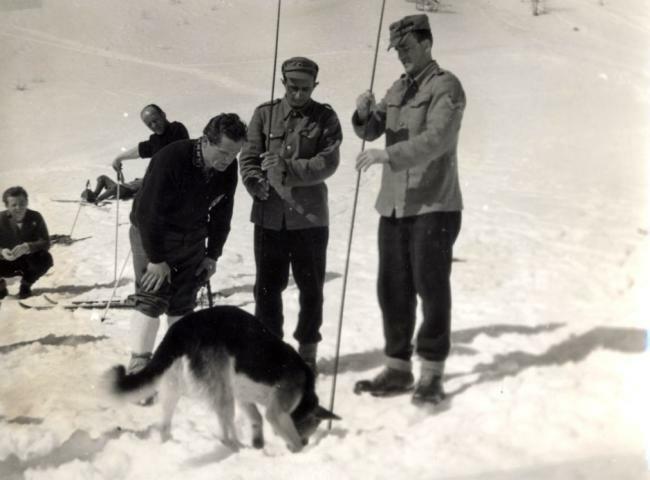 When we plan more demanding, unknown tours, winter ascents, when we would like to give ski mountaineering a try or wish our trip to be both eventful and safe, we should always hire a qualified and experienced guide. 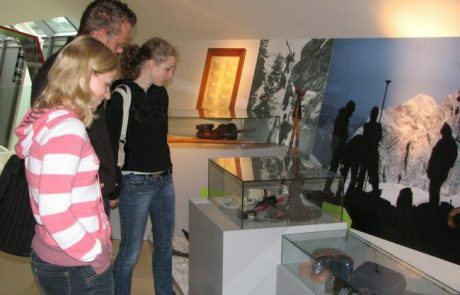 A mountain guide has to organize a complete tour for individuals or groups, provide professional guidance, create a pleasant atmosphere, and bring the clients safely back to the valley. He also advises on the proper mountaineering outfit. 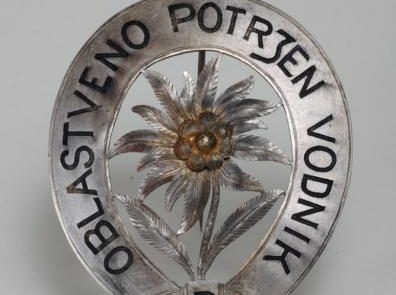 Gorski vodnik (Mountain Guide) is the highest possible professional rank awarded in Slovenia, while the rank Vodnik PZS (Guide AAS – Guide of the Alpine Association of Slovenia) is reserved for a voluntary, skilled guide who operates within mountaineering societies. 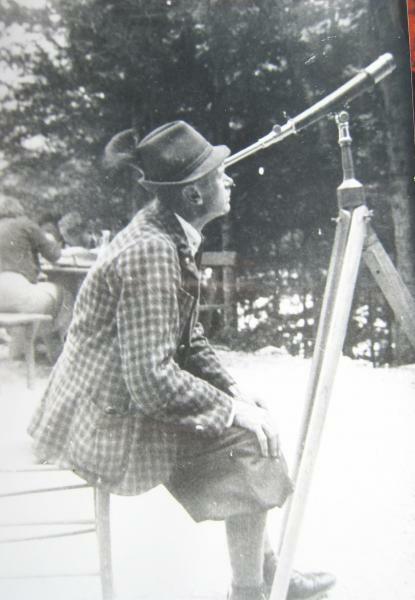 This person is responsible for the basic member training, takes members on tours, and advises on the right equipment. 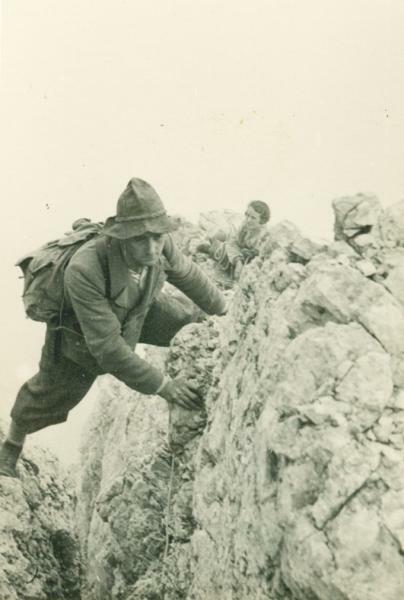 Mountain guiding has a long tradition in Slovenia. 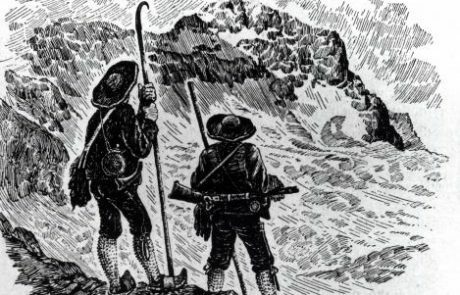 Locals, who first walked the mountains out of economic needs, later guided explorers on tours and are now treated as first mountain guides. 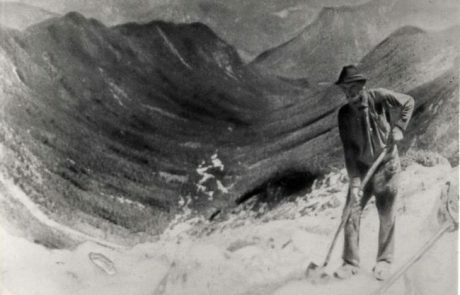 In the 19th century, only few people visited mountains alone, so when the first tourists started visiting the mountains, they played an important role. 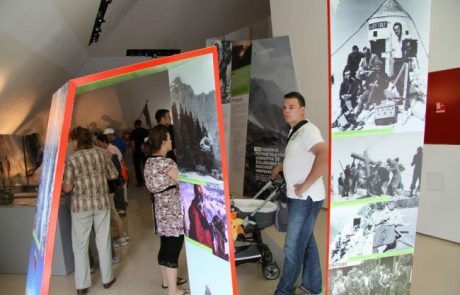 Officials and mountaineering organizations felt responsible for the safety of tourists in the mountains, and so started organizing trainings for guides and awarding official licenses. 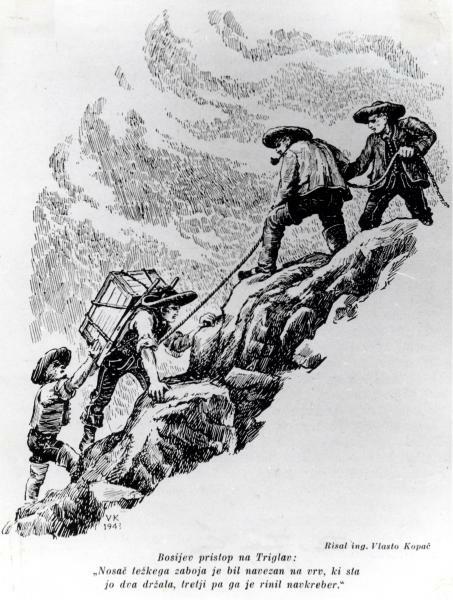 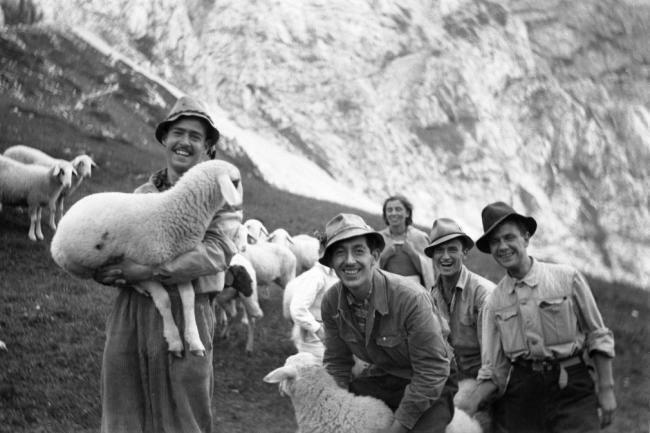 Guides often worked as porters and occasionally as mountain rescuers. They used simple hand-made equipment or tools used in their everyday country life. 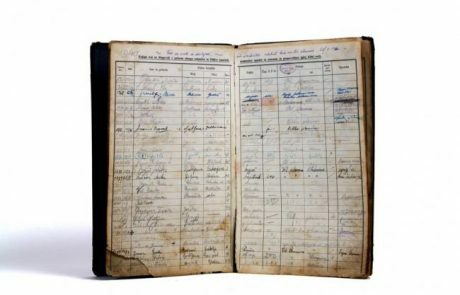 They were paid in line with the official fares, so the money represented an additional source of income. 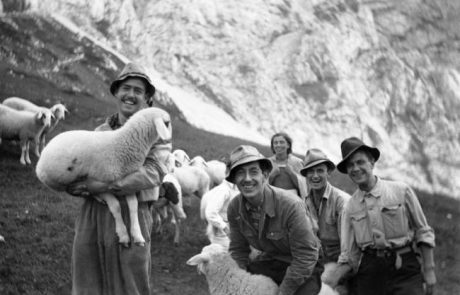 In addition to professionals, the first voluntary mountain guides appeared before World War II, when priests, teachers and scout organizations started leading people in the mountains. 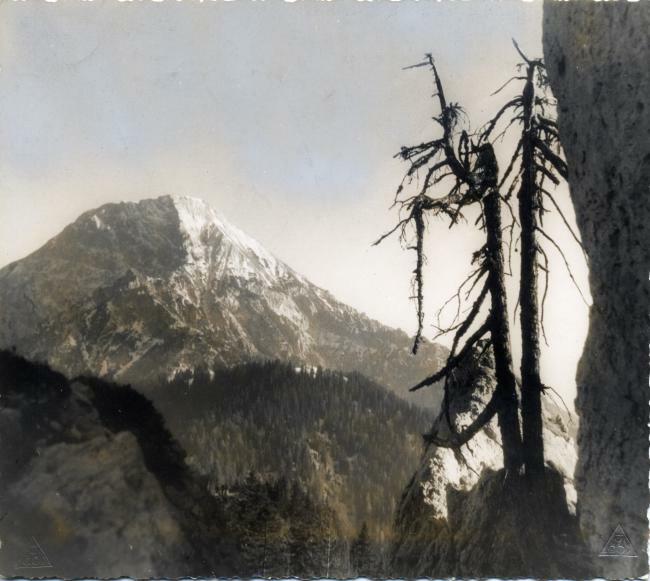 When venturing out to the mountains, we are guests of wonderful yet sensitive nature which should remain after our visit as we had found it. 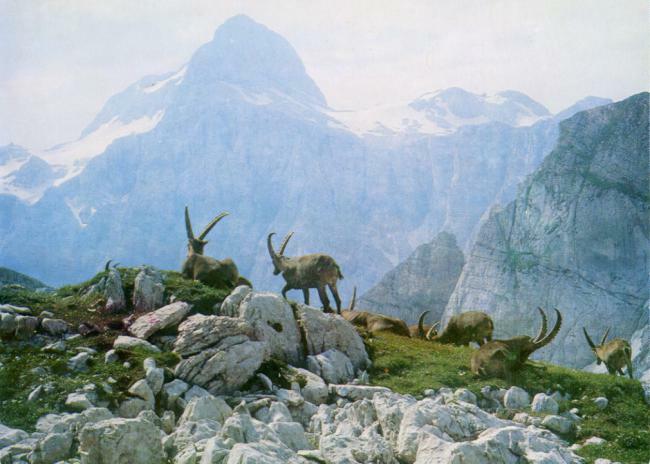 The natural features of Slovenian mountains were formed by the compression and lifting of the Alps’ mountain range resulting from the collision of the African and European tectonic plates, a process that has been ongoing for over 100 million years. 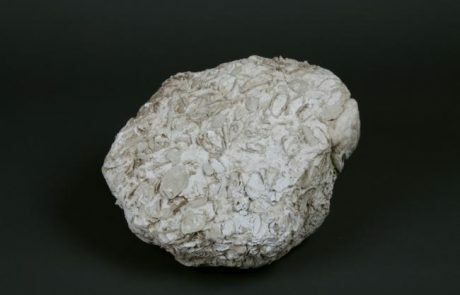 The formation of sediments, the predominating bedrock in this area, started more than 300 million years ago south of the Earth’s equator. 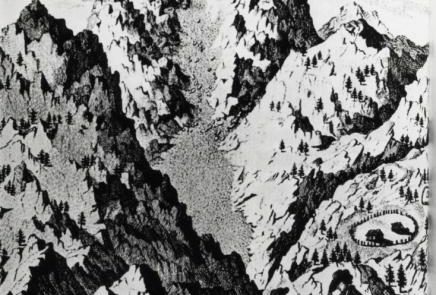 When the African continental plates moved, sediments were pushed far to the north to their present location. 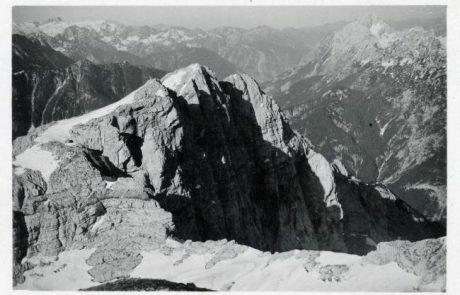 The bold relief was created by selective erosion of non-cohesive bed materials and is conditioned by the tectonic composition of the Alps. 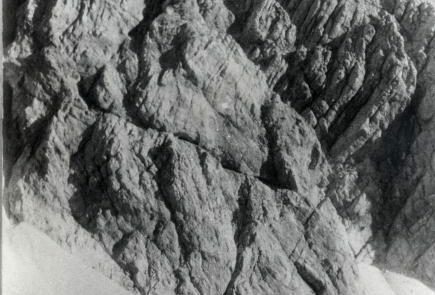 Resistant rocks make up mighty summits and rock faces. Where the bedrock is less resistant, deeply-gouged glacier and river valleys and gorges have formed, interchanging with meadows and forests. 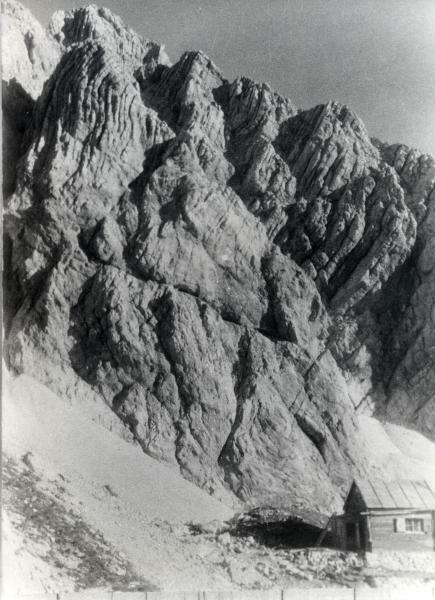 Over millions of years, high limestone plateaus have undergone heavy karstification, creating high-altitude karst plateaus (“podi”) with systems of underground caves and deep abysses. 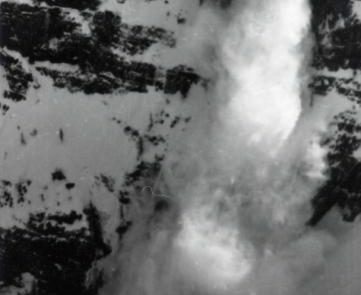 Highup in the mountains, waterways start out as brooks, streams, and waterfalls that are a valuable reservoir of drinking water. 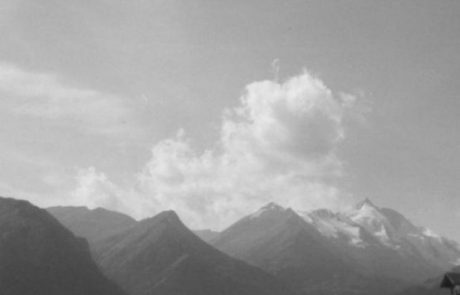 In the mountains weather is more changeable than in the valleys, precipitation more frequent and heavier, winds stronger, temperatures lower. 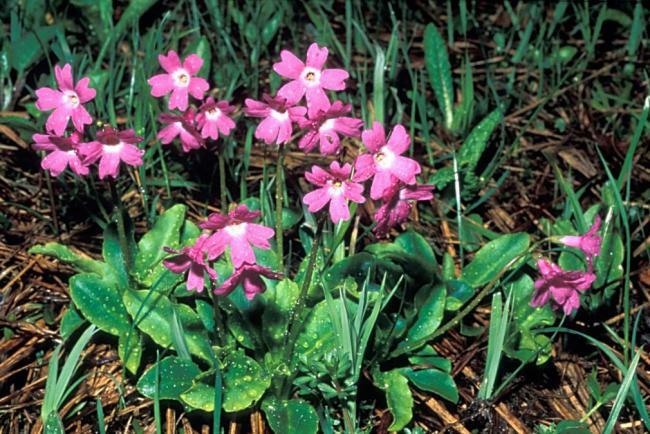 At high elevations, it can often snow in the summer. 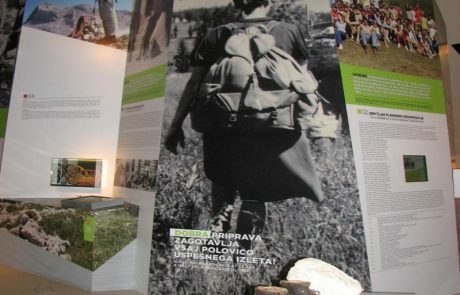 Every trip to a mountain starts on a brightly coloured meadow or, more frequently even, in a forest, which is the most common and best-preserved ecosystem of the Alpine territory in Slovenia. 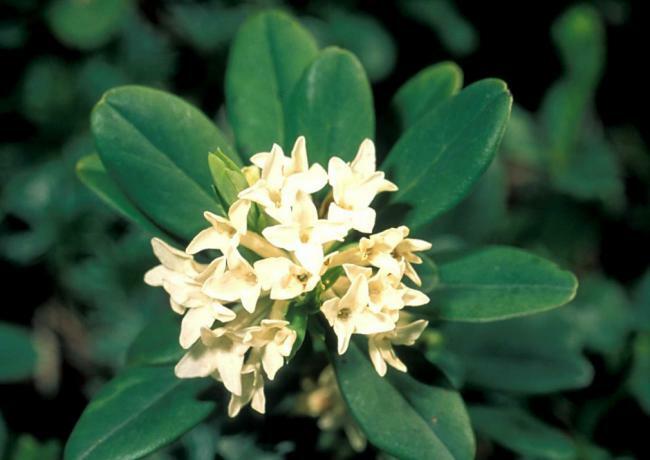 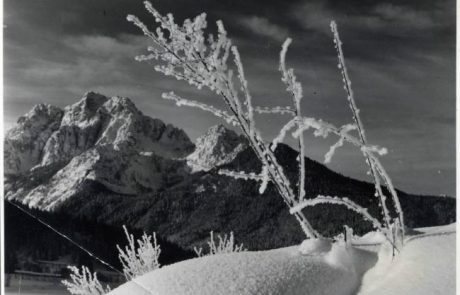 Slovenian mountains with their diverse relief and an interesting geographic position, where the cold and harsh continental (alpine) climatic conditions meet the mild and warm Mediterranean climate, are a true botanical paradise. 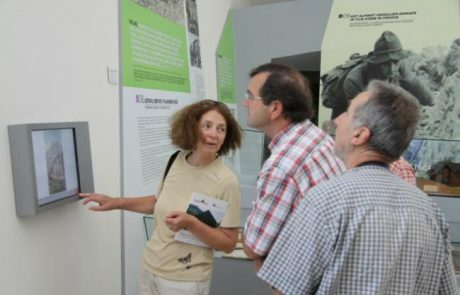 The number of visitors to the mountains is increasing. 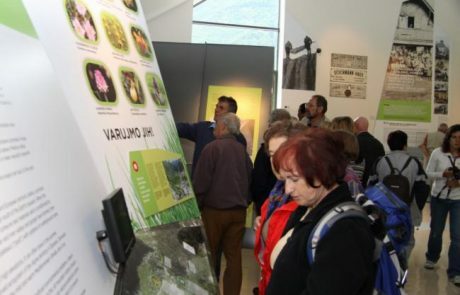 Besides considerable global climate change and pollution, mass visitation is another factor that causes significant environmental problems. 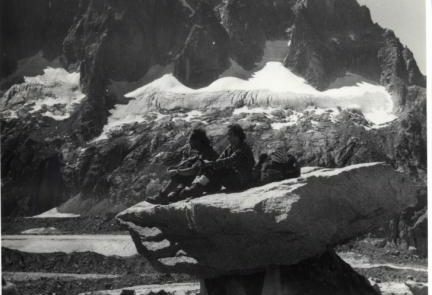 Urbanisation and development of infrastructure, traffic, noise, water pollution, and waste are some of the problems where also mountaineers can make a difference. To achieve this, all mountain visitors should be conscious of the environmental principles and committed to nature protection measures. 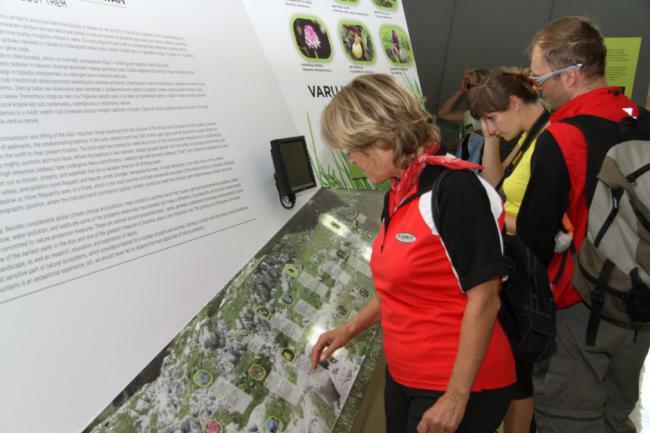 These are centred around protected areas – parks, generally understood to embody nature protection principles. 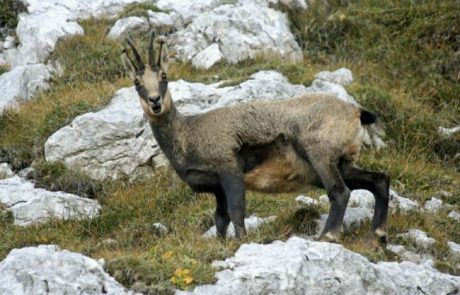 In this respect, the Triglav National Park, one of the earliest parks in the Alps and one of the greatest treasures of Slovenia, plays a very important role. 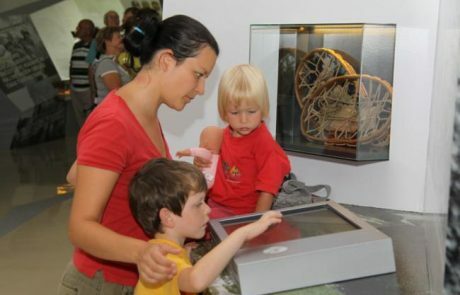 The primary aim of the park is to ensure nature protection and conservation of cultural landscape, as well as research, education, and experience of nature. 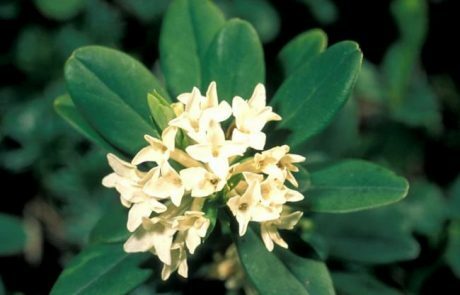 When going to the mountains, we enter a most sensitive part of natural ecosystems, which provides a habitat for a number of plants and animals. 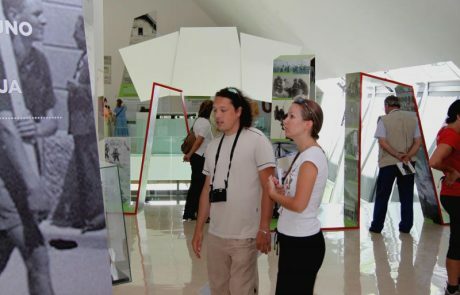 Coming in contact with the nature, cultural landscape and the people living at the foot of these mountains is an exceptional experience; still, we should never fail to observe the main objectives of nature protection. 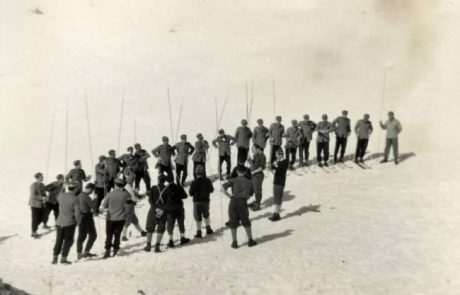 The only way to become safe mountaineers is to exercise utmost caution, and through learning and climbing in various types of terrain. 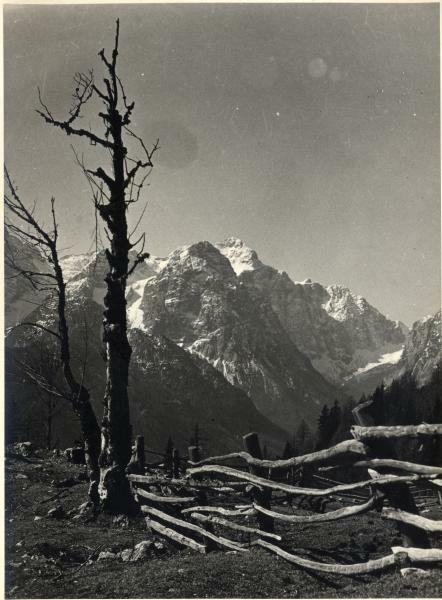 The mountains have always been and will continue to be regarded as potentially dangerous for visitors, although mass visitation has created a false feeling of security. 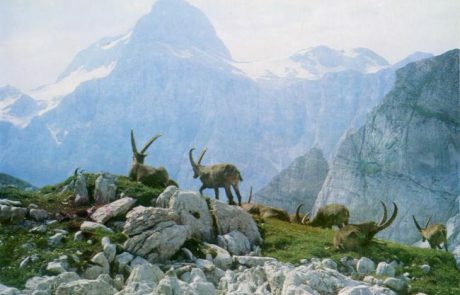 Before venturing up into the mountains, we should consider our own safety and preparedness for the tour we are planning to take. 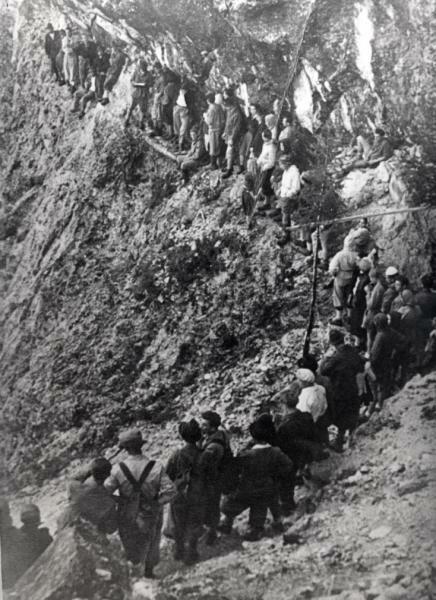 The aim of the tour is not to conquer the summit but to return home safely; many accident happen during descents. 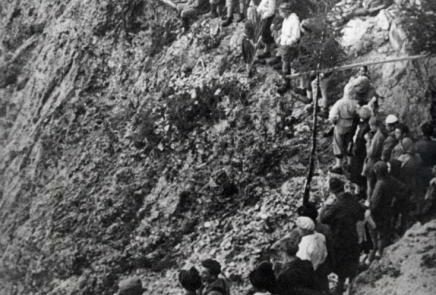 In case of an accident, mountaineers are obliged to help to the best of their knowledge, experience and abilities, and report the accident to the information center (no. 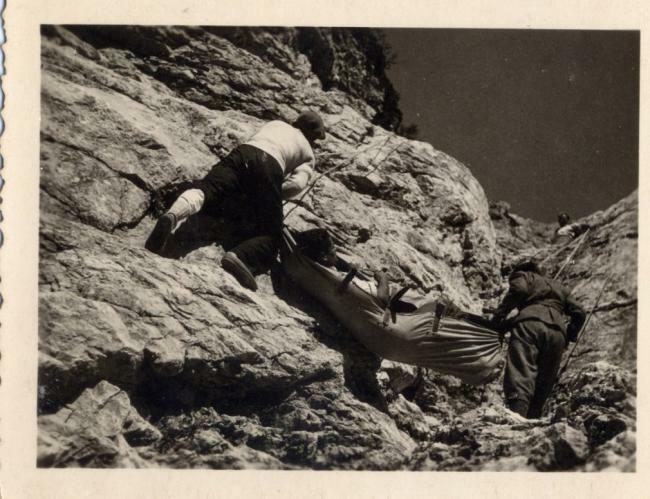 112) or the nearest mountain rescue service. Most accident are caused by insufficient preparation for the tour, overestimation of one’s abilities, inappropriate equipment, poor knowledge of the route and lack of information or underestimation of weather conditions in the mountains. 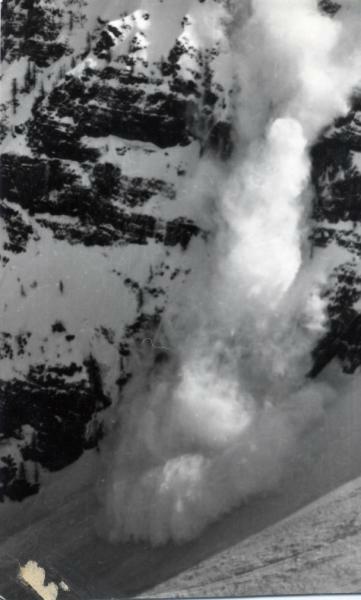 The most common causes of mountain accidents are slips, falling rocks, lightning, avalanches, and hypothermia. 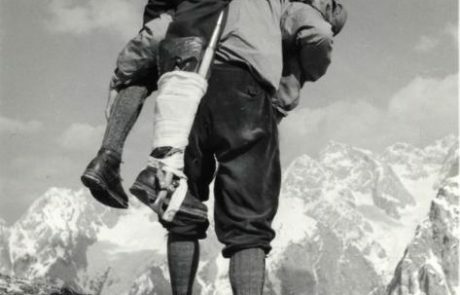 In the past, mountain accidents were rare. 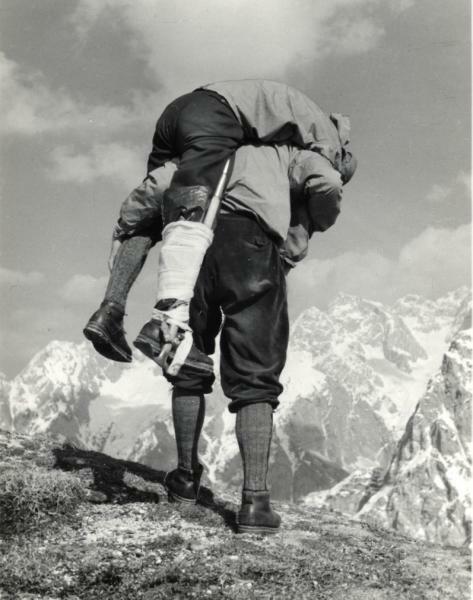 If an accident did occur, local people, mountain guides or climbing companions came to the rescue. 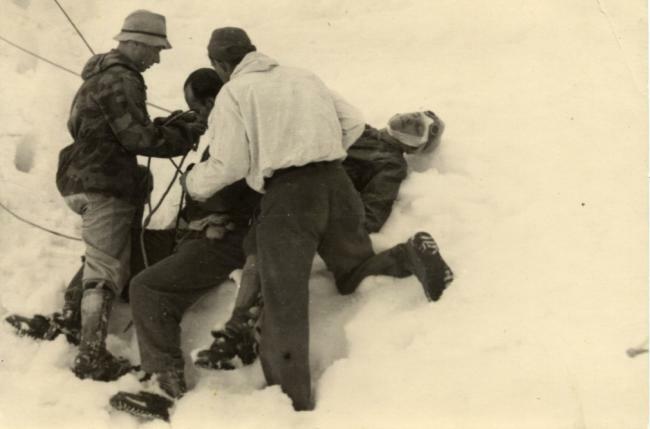 When mountaineering increased in popularity and alpinism swept the world in the 20th century, the number of accidents and the requirements posed to the rescue service rose as well. 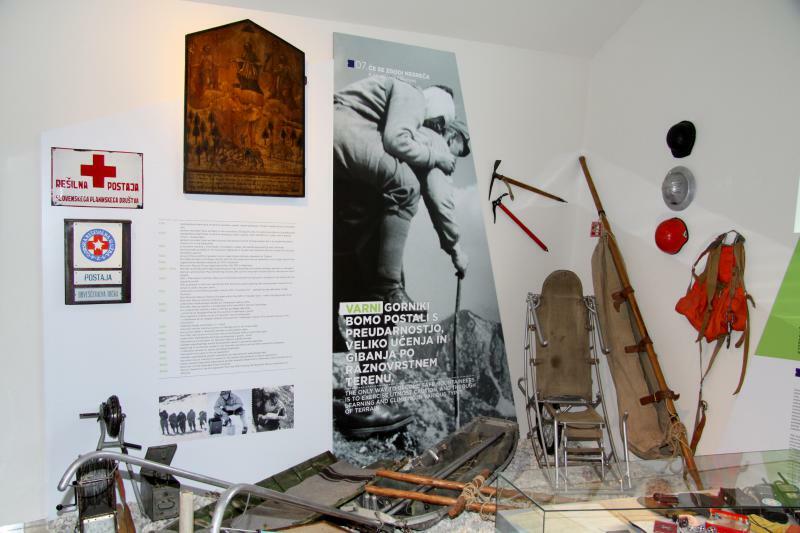 To cope with the changing conditions, the first mountain rescue service was established in 1912 in Kranjska Gora within the Slovenian Mountaineering Society. 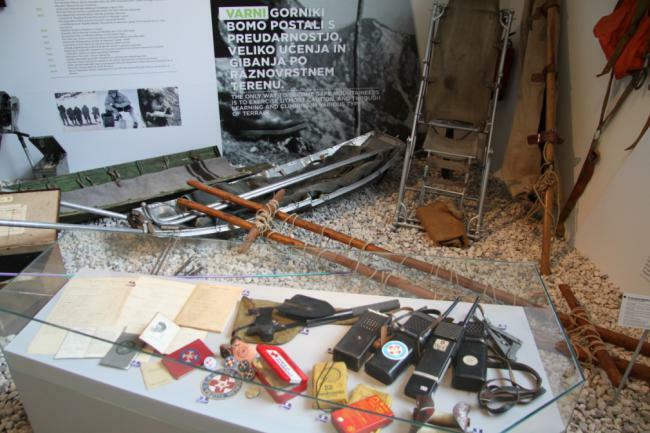 From Kranjska Gora, Mountain Rescue Service spread to other parts of Slovenia which were located close to the mountains. 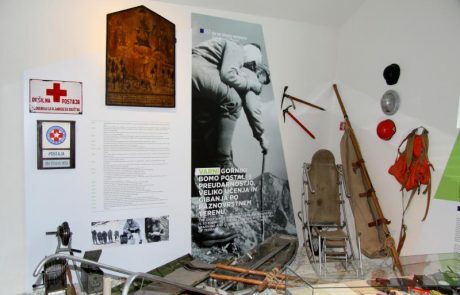 Over time, this first Mountain Rescue Service has grown into a powerful organization with a well-developed network of rescue service stations across Slovenia which are characterized by state-of-the-art equipment, modern rescue techniques and a dedication to helping mountaineers in trouble. 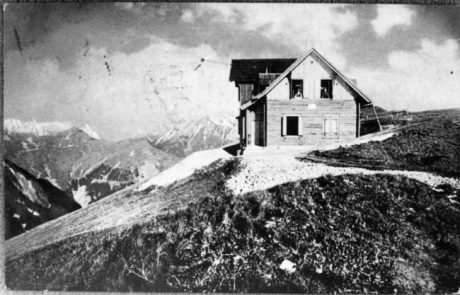 Mountain huts offer simple accommodation, food, drink, mountaineering training, and shelter in case of an accident or bad weather. 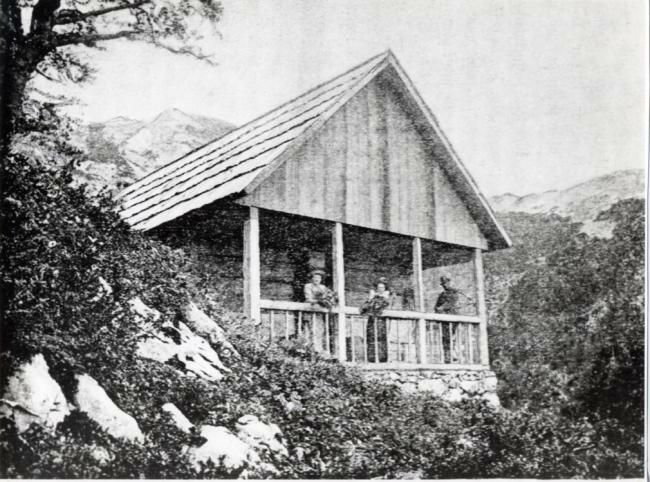 In a hut, one can obtain information about the condition of the trail and weather forecasts, and report an accident. 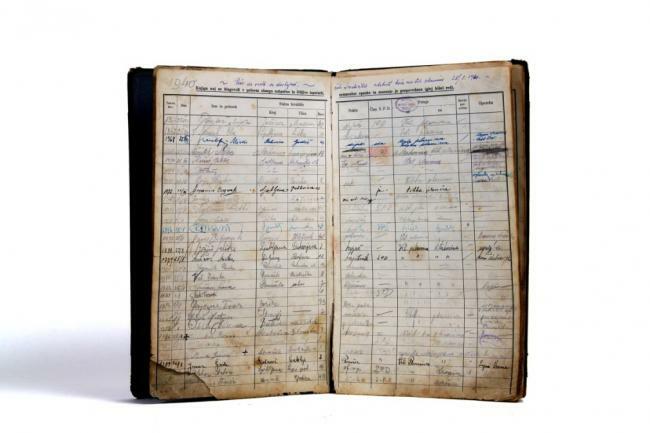 Entering your name in the visitor’s book will help the rescuers determine your position in case of an accident. 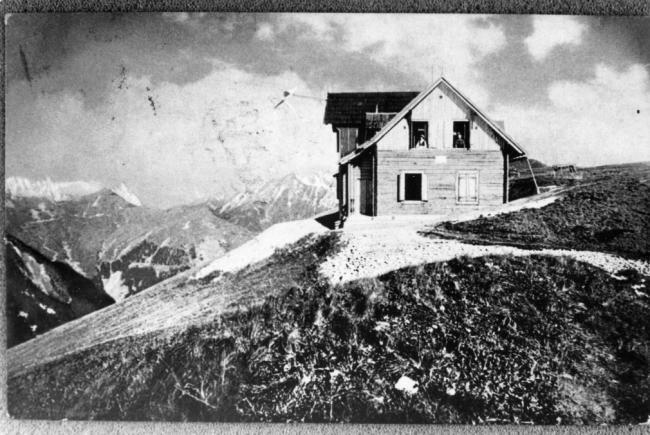 Dedicated to minimizing environmental impact, mountain huts offer no luxury and no five-course meals. 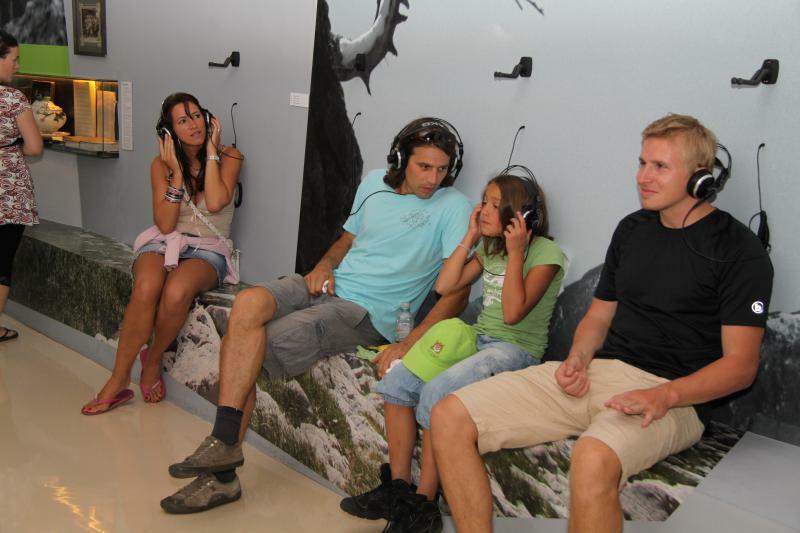 Respect the house rules, avoid making unnecessary noise, and show consideration for other visitors. 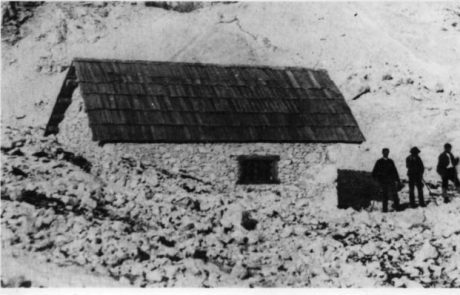 The first mountain huts in Slovenia were built at the end of the 18th century and were primarily intended to accommodate explorers. 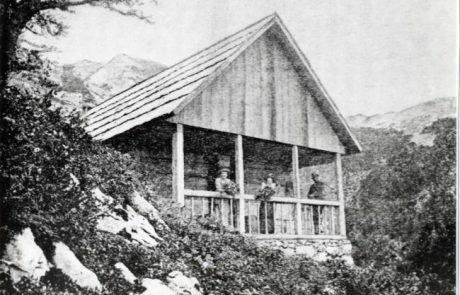 In the second half of the 19th century, German and Austrian mountaineering clubs began putting up huts in the Slovenian mountains to strengthen the German rule and consolidate the Germanisation of Slovenia and its mountains rather than to offer shelter to mountaineers. 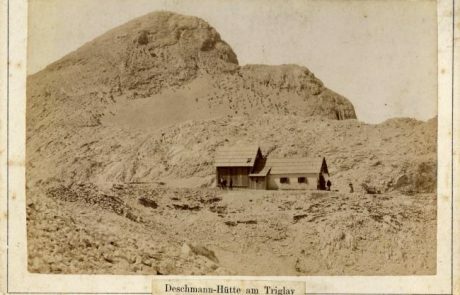 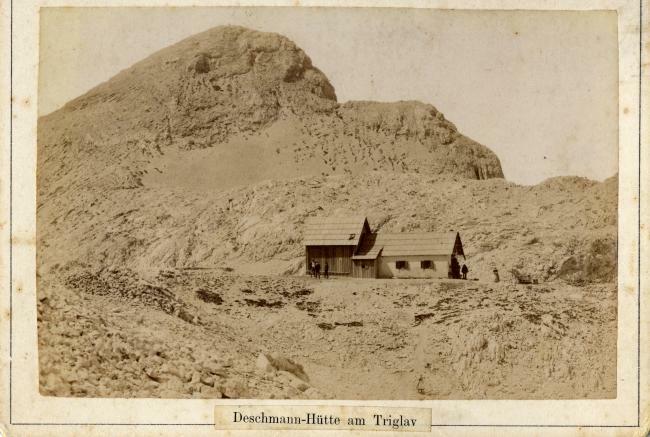 Germans would give summits and huts German names, the hut wardens spoke German, and foreign tourists were given priority over Slovenian guests. 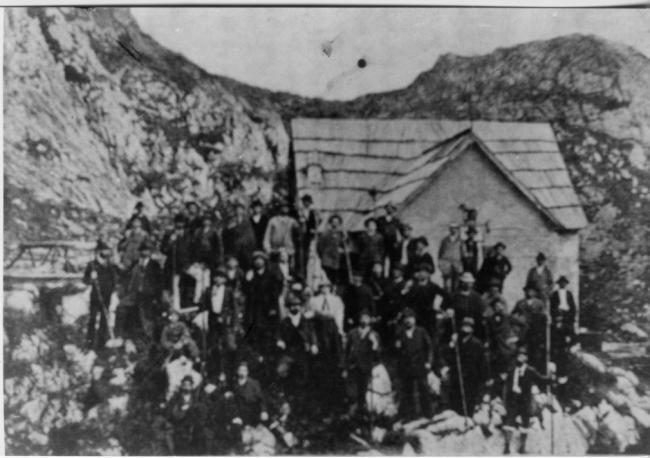 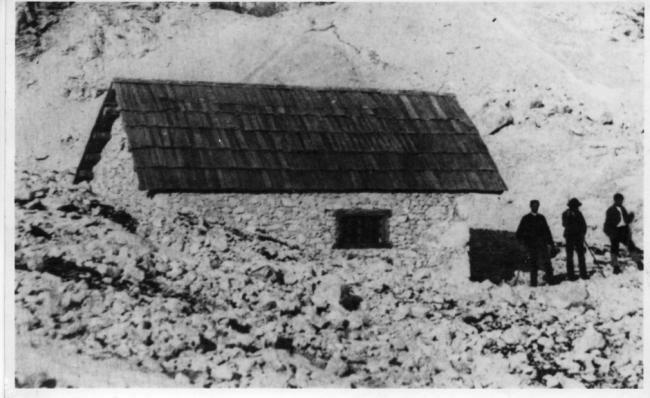 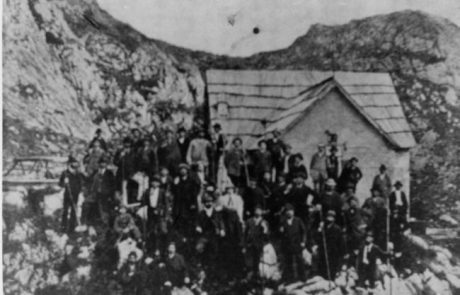 Formation of the SPD, Slovensko planinsko društvo (Slovenian Mountaineering Society), only made matters worse as now Slovenes would also build mountain huts in an attempt to preserve the Slovenian appearance of Slovenian mountains. 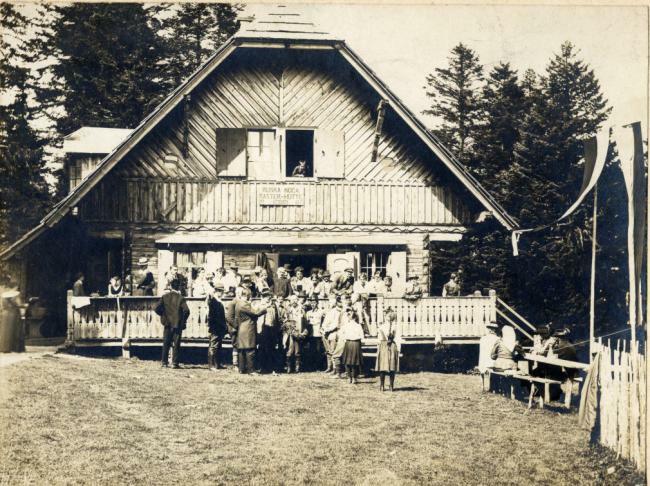 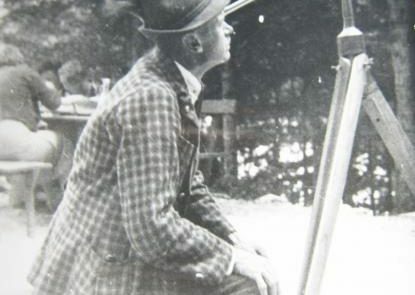 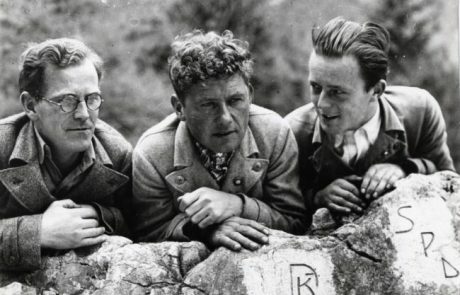 Every opening of a mountain hut was a celebration, a national demonstration in itself. 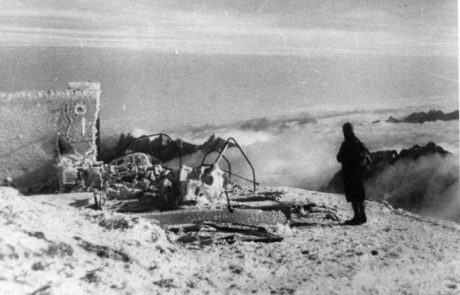 After World War II, mountaineering embraced an idea to make mountains accessible to the widest number of people and, as a result, visitors to Slovenian mountains can find rest at over 170 mountain huts. 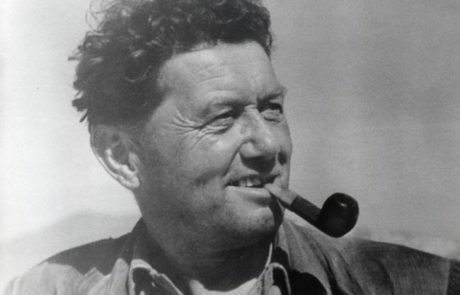 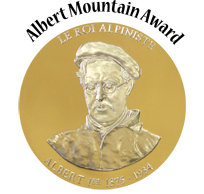 An alpinist is a man who searches for troubles, and is happy if he finds and overcomes them. 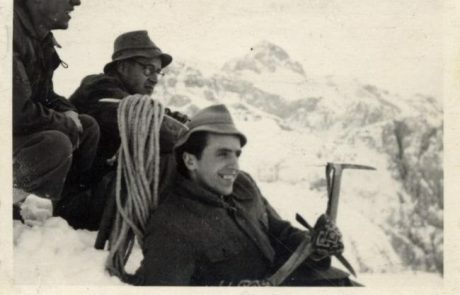 Alpinism, as an activity that includes climbing, walking and skiing in the mountains, in particular on pathless terrain and without a mountain guide, is the most demanding form of mountaineering. 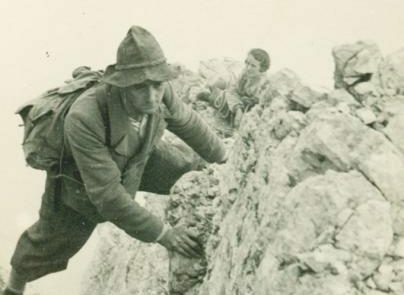 We use the term climbing where a mountaineer is required to use his hands to move. 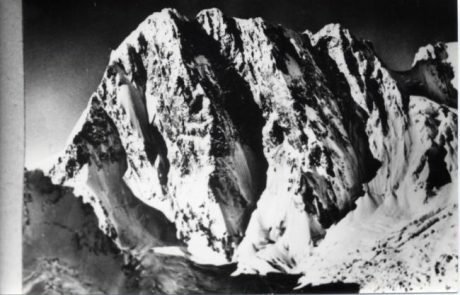 The destination of an alpinist is hardly accessible peaks and impassable rock faces, which he climbs via unprotected routes. 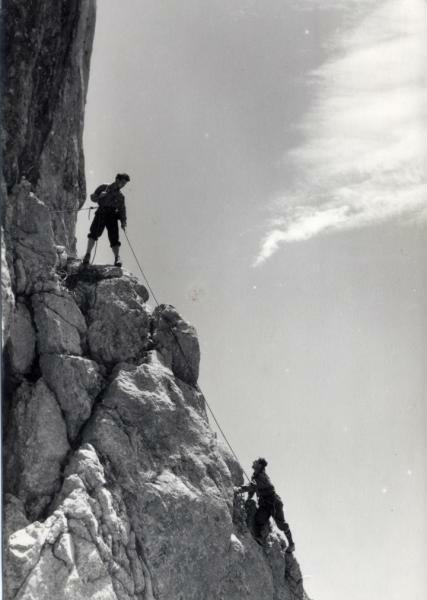 The basic climbing skills can be learnt in Alpine Schools, and the descriptions of climbing routes are given in numerous mountaineers’ guides. 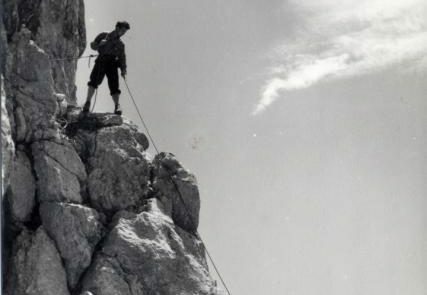 The alpinist’s first tours should be short and easy, taken in the company of a climbing instructor, and only then an alpinist can venture on a tour alone. 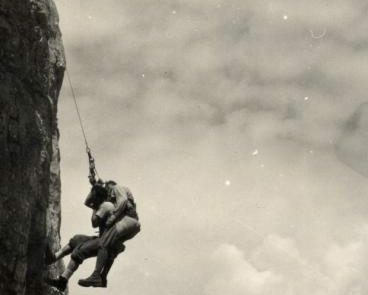 For reasons of safety, alpinists should always rope up, climbing with a climbing companion or in a team. 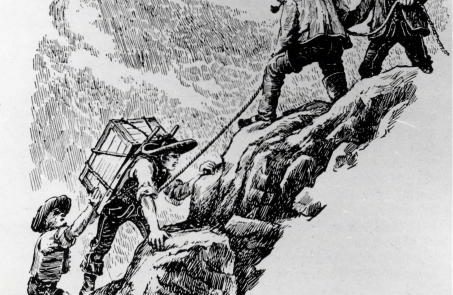 The beginning of European mountaineering dates back to the end of the 15th century, when the climbers first used ropes, wooden pegs, slings, ladders, and ice pitons. 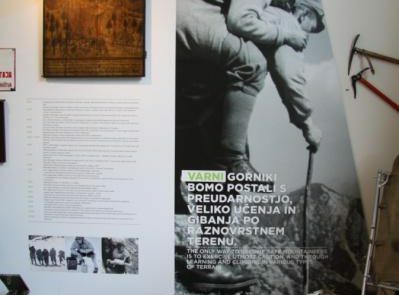 Since the end of the 18th century, there have been several people also in Slovenia, who deserve to be called alpinists (Valentin Stanič, France Kadilnik, Julius Kugy, Henrik Tuma, members of the Dren climbing club). Organized forms of modern alpinism started in the inter-war period when climbers set out more demanding climbing routes, following the “where there is a will, there is a way” principle. The most notable achievements of the time were those made by the members of the Turistovski klub Skala (Mountaineering Club Skala). 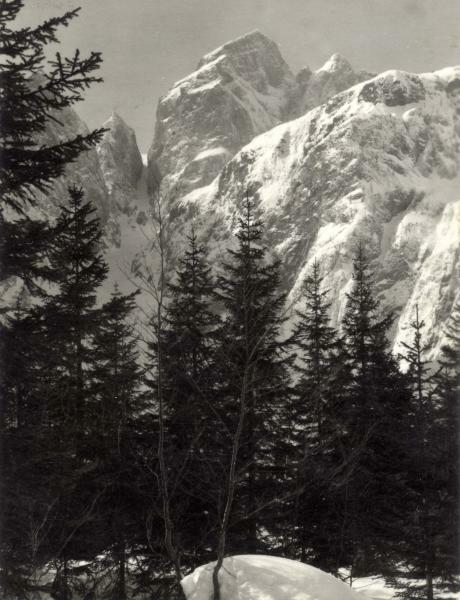 After World War II, mountaineering grew into a sport, which brought about the need to compete with other nations, turning the attention of climbers towards foreign, most demanding peaks and faces, and left the mountains of Slovenia to be used as a training ground, in particular in winter conditions. 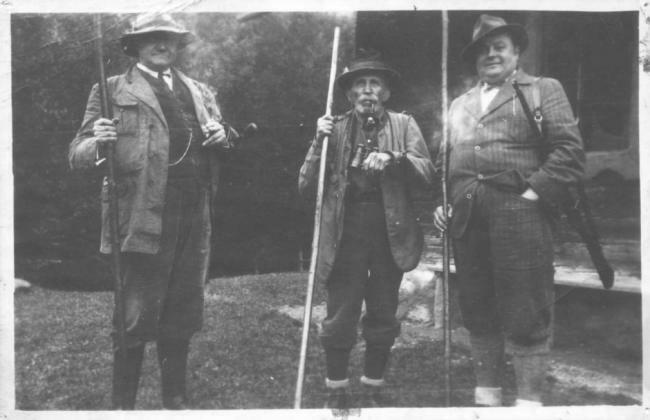 A series of expeditions followed. 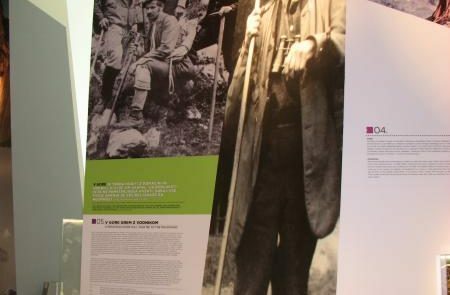 Having climbed all 8000-metre peaks of the world, ticked off the top most difficult routes, made a number of second ascents, solo climbs, ice ascents and combined climbing with skiing, Slovenian alpinists have established themselves as one of the best in the world. 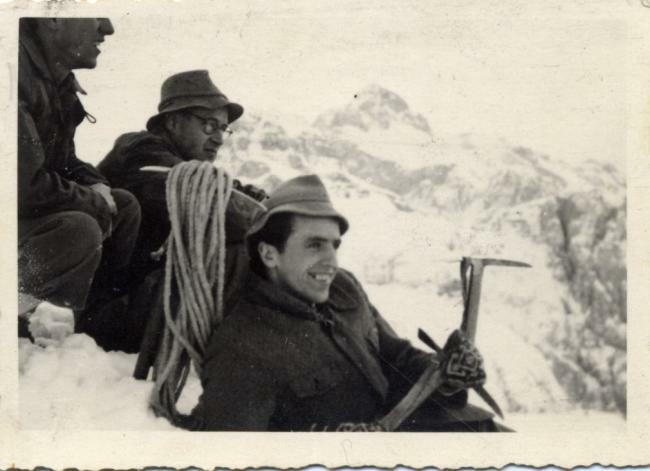 Since the end of the 1970s, sports and ice climbing have been on the rise as so has extreme ski mountaineering. 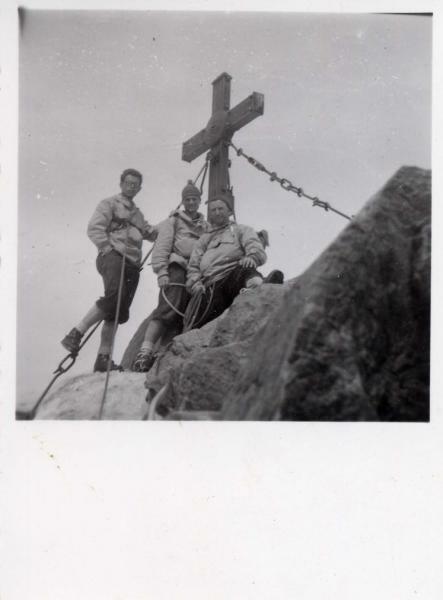 Conquering the summit is just an intermediate objective, the final one being safe return home. 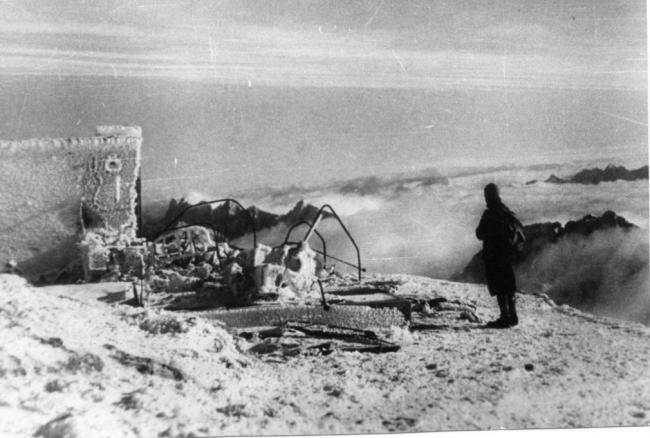 View of the surrounding summits, a turret, cross or box with a seal – these are the signs that we have reached the top of the mountain. 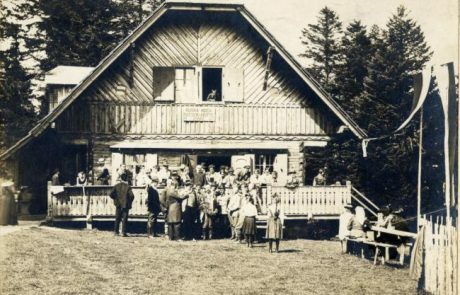 Now it is time for a snack, traditional rope christening and a brief recollection of the past when only few were lucky enough to enjoy such views. 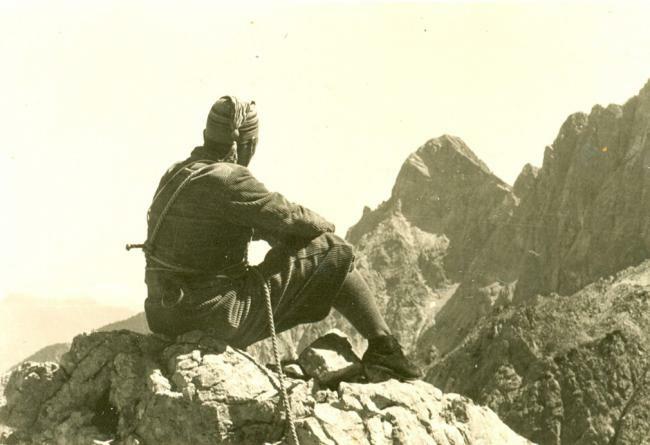 The expanse of the horizon beckons the mountaineer to new tours, conquests of new rock faces and summits. 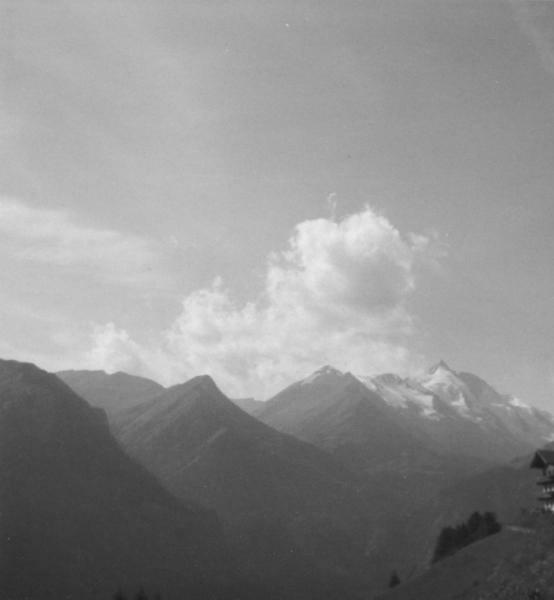 Every nation has its “holy” mountain. 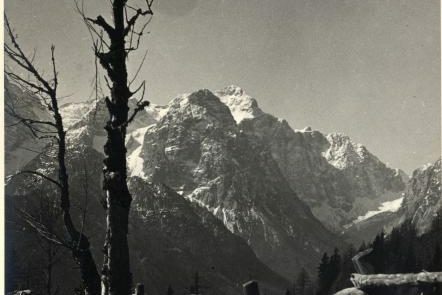 For Slovenes, this is Triglav, the highest, most desirable mountain, celebrated in verse and prose, and admired like no other. 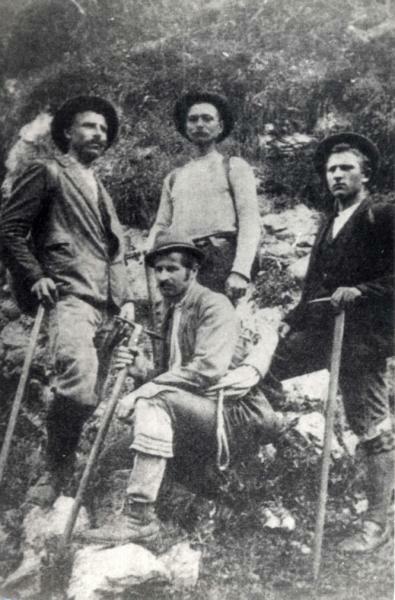 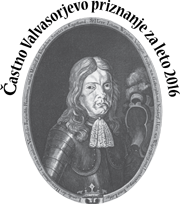 The history of Triglav ascents began in 1778 when the group of “four brave men” from Bohinj succeeded in conquering its summit. 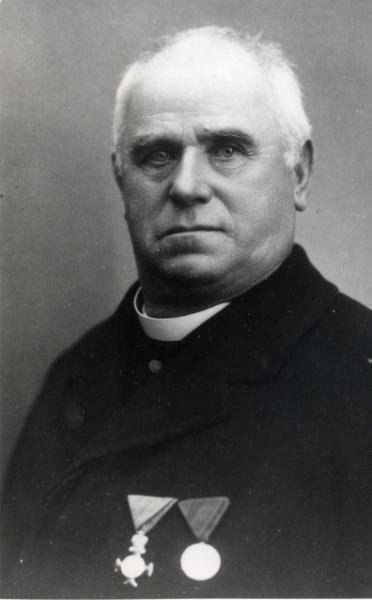 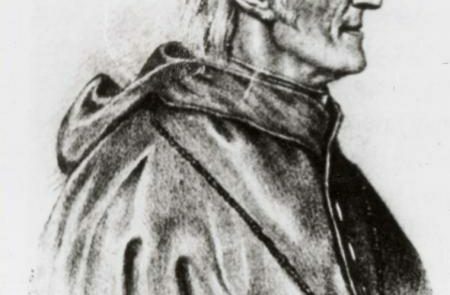 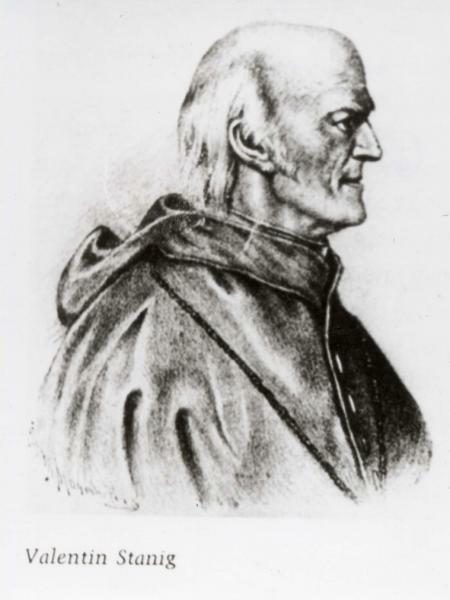 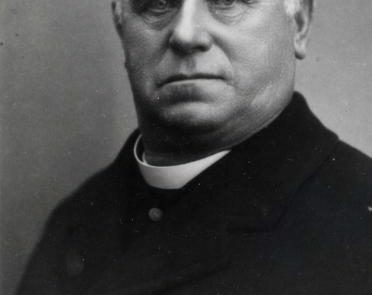 In the 19th century, Triglav became the symbol of Slovenian national identity, largely through the efforts of one man, priest Jakob Aljaž. 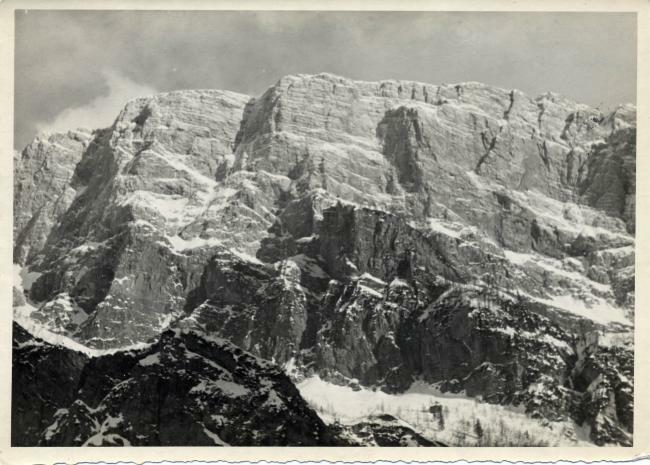 Mountain summits and rock faces were just another arena where the Slovene-German contest for supremacy was fought. 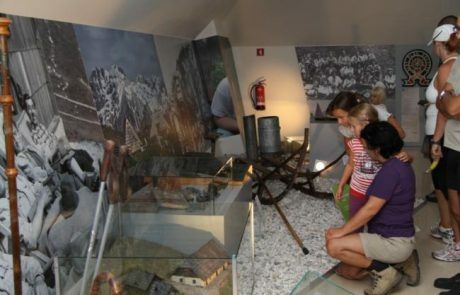 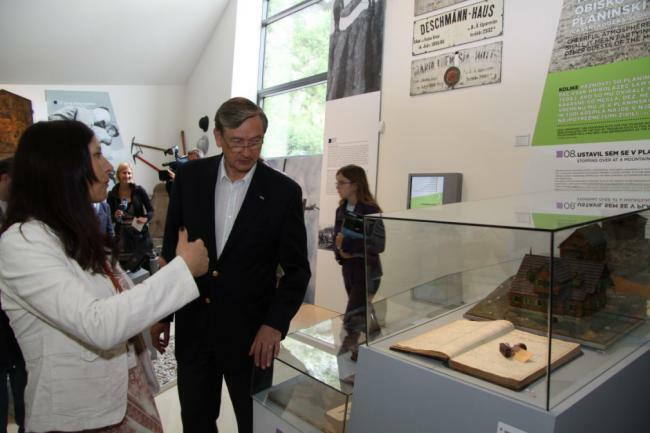 It was an arena where Slovenes were able to demonstrate our self-confidence and, by preserving the Slovenian appearance of our mountains, defended our language, culture, and national identity. 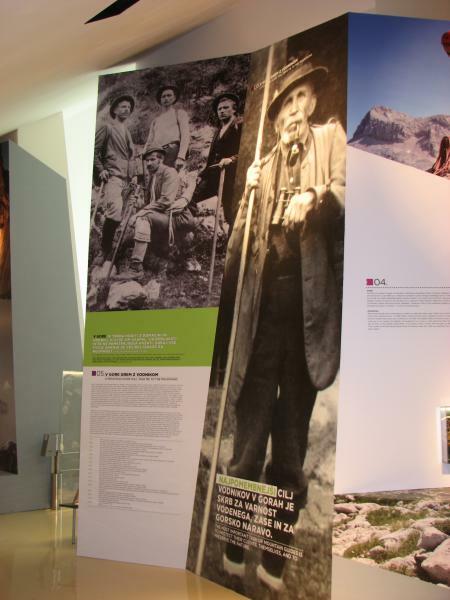 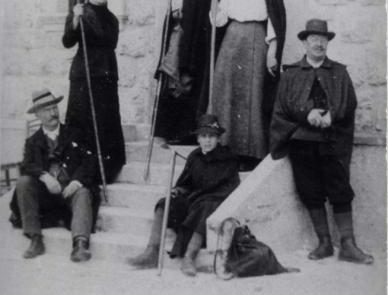 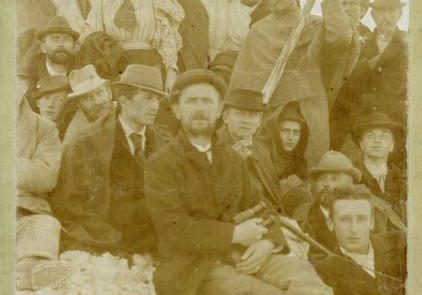 The first scientists and tourists to summit Slovenian mountains did so with the help and in the company of local mountain guides, who had climbed most summits earlier as hunters and shepherds. 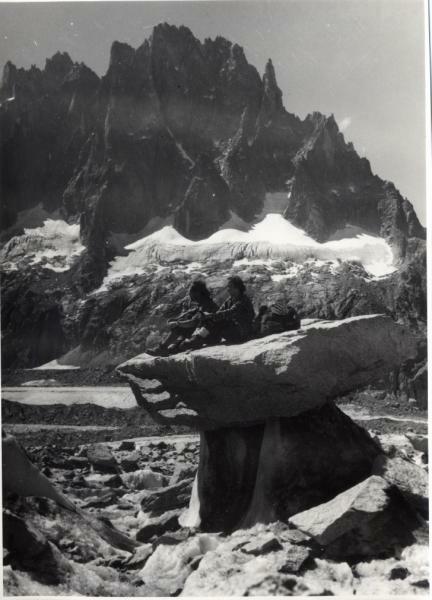 Since at that time there were no laid-out and secured paths, every first approach across passes, along ridges and up sheer rock faces was a serious climbing achievement. 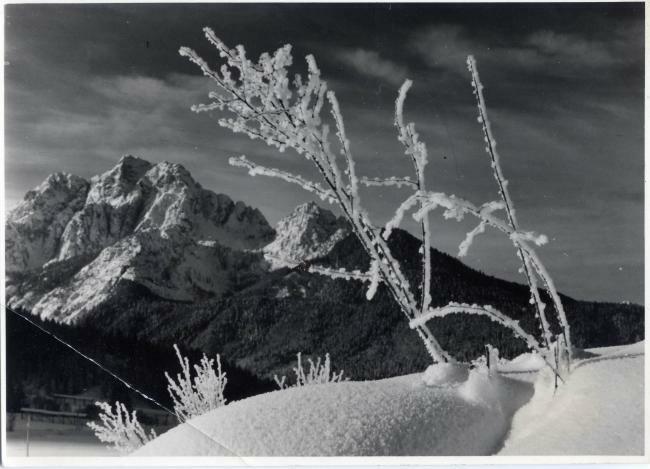 May mountains remain forever the sanctuaries of those who are in search of the sun! 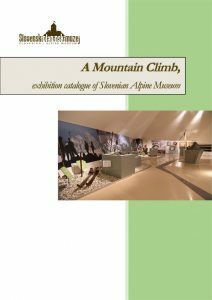 With their beauty, inaccessibility and greatness, mountains have always inspired and attracted explorers, pioneer climbers and other travelers as well as artists, who have to date created an outstanding collection of mountaineering-related works of art. 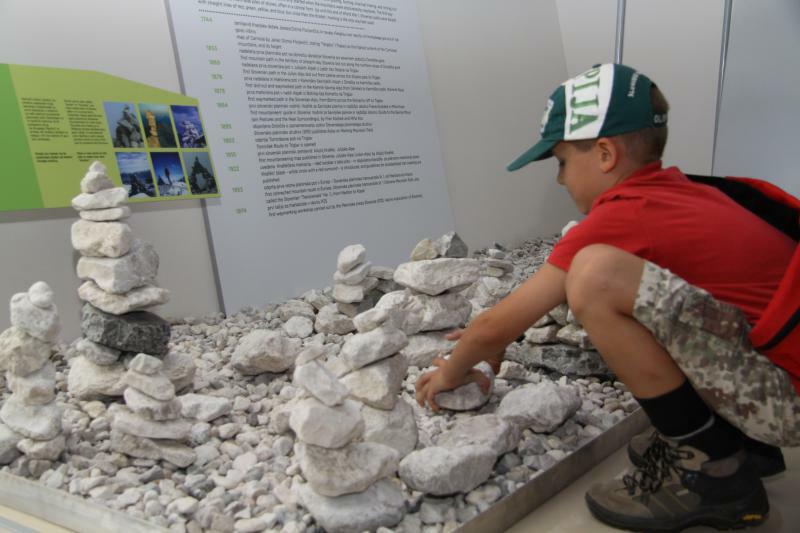 Their themes are as various as the attitude towards mountains, from respect out of fear to mystical experience, from extreme sport achievements to pleasant hiking in the nature and beautiful views. 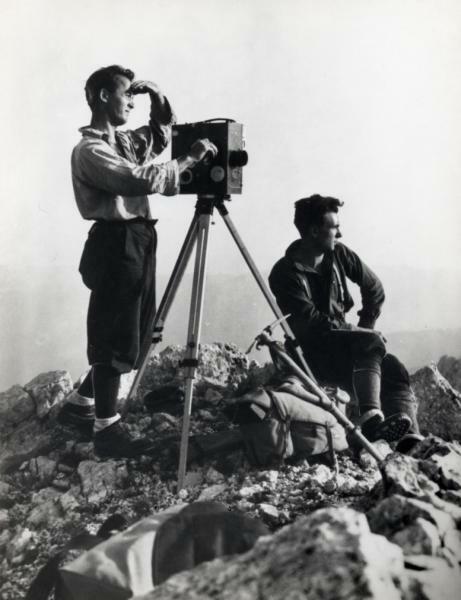 Yet the love of mountains is the ultimate driving force of cultural experience and creativity. 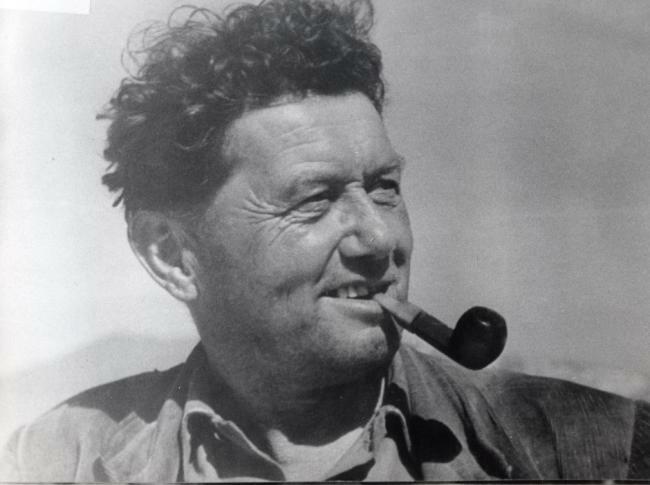 Everything, from vigorous language spoken by a simple herdsman to carefully chosen words uttered by the greatest artists, represents this rich cultural activity. 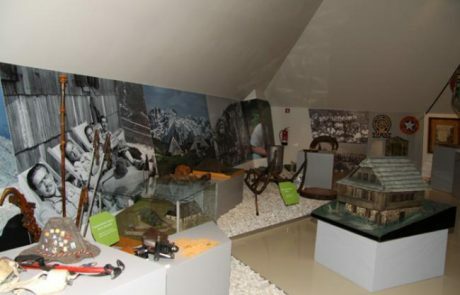 It is also a reflection of a unique Slovenian soul which finds its own spiritual world, love of country and national identity in the mountains. 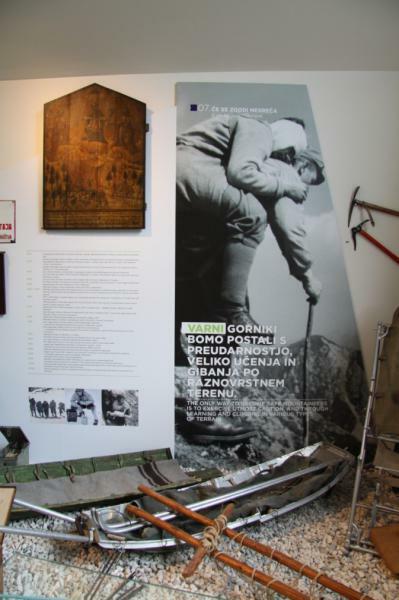 In this context, Planinski vestnik, Slovenia’s oldest monthly magazine published since 1895 by the Planinska zveza Slovenije (Alpine Association of Slovenia), plays an important role. The main feature of mountaineering is a memorable experience in the mountains. As a kaleidoscope of memories, this experience finds its way in various forms into texts, from professional ones to literature, into works of fine arts, music, films, photography etc., or is present in lively story-telling among friends.